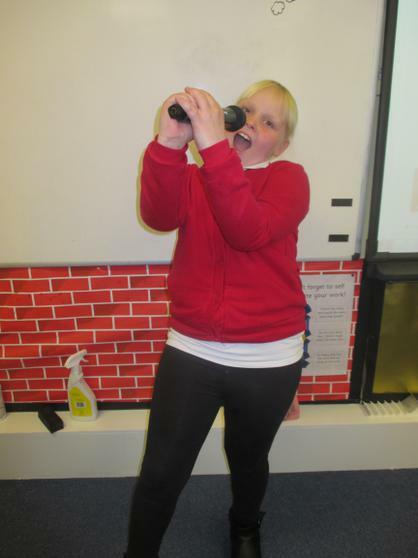 We have just finished our meal out and then been on a ghost walk around historic Edinburgh. 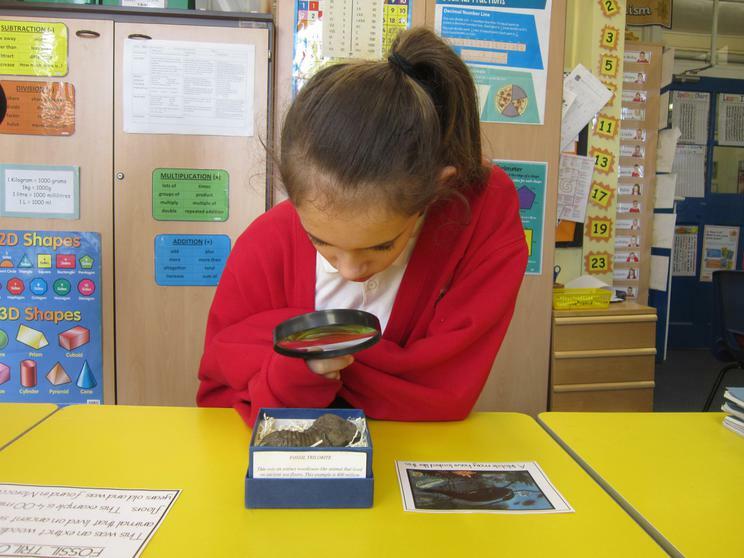 We have lots of pictures but find it hard to upload them as the Internet connection is very slow. 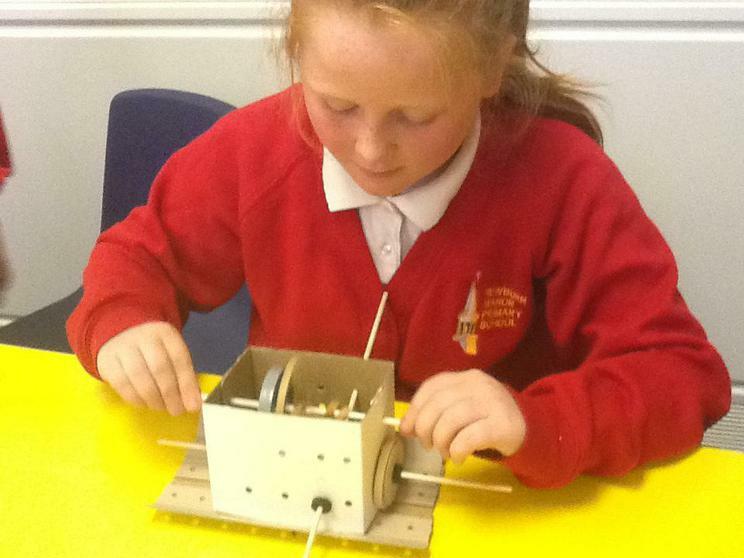 Is a marriage by a machine legally binding? 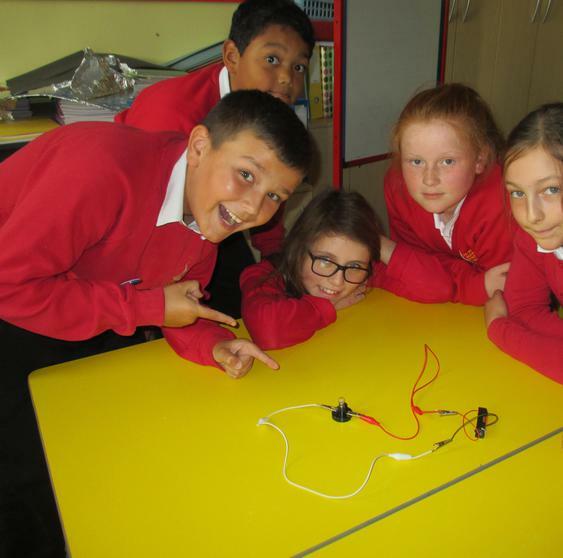 As part of a technology project Year 6 would like you to fill in these short surveys to help them develop their products. 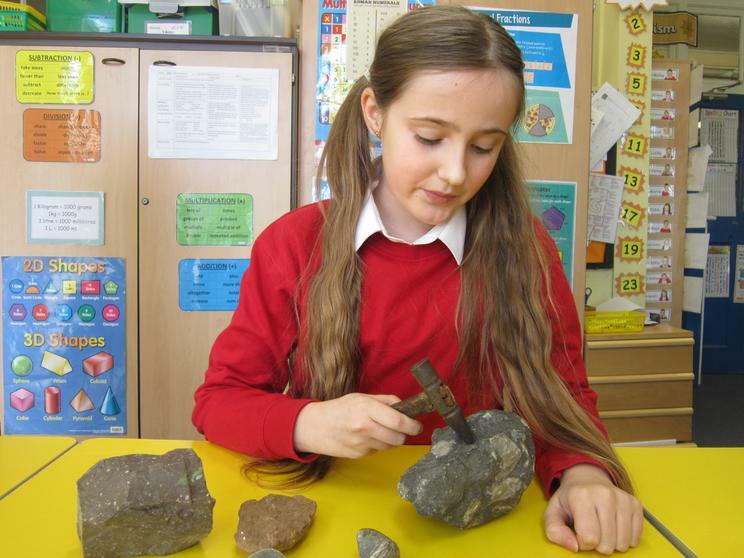 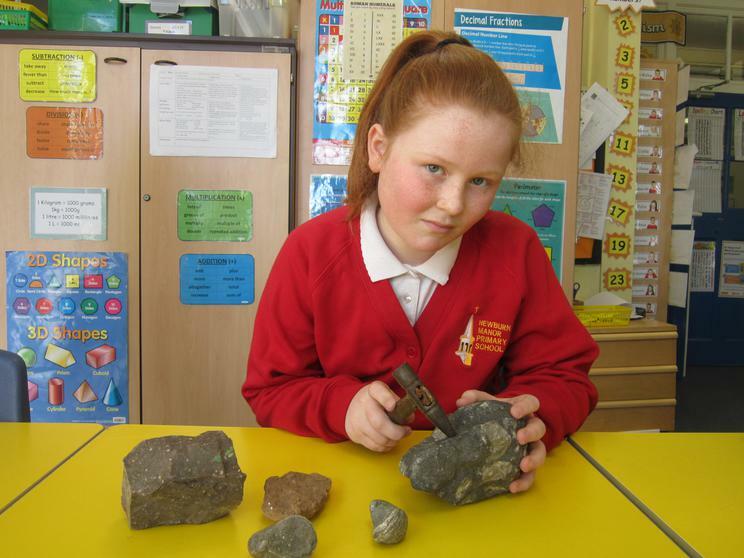 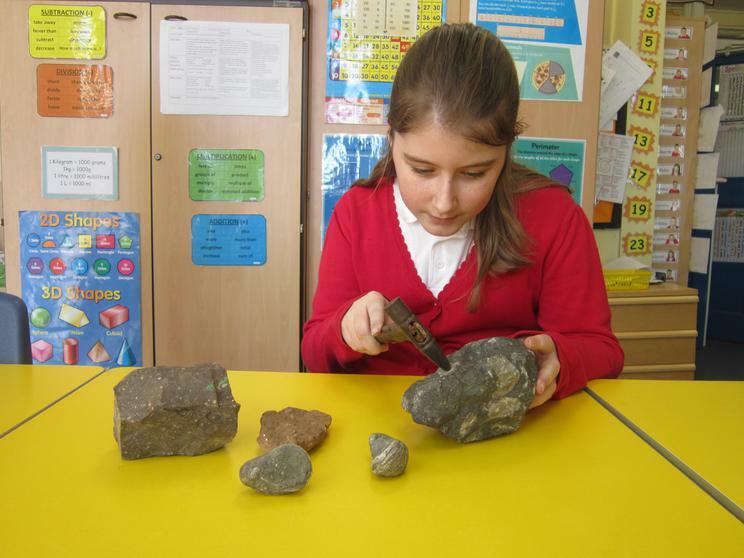 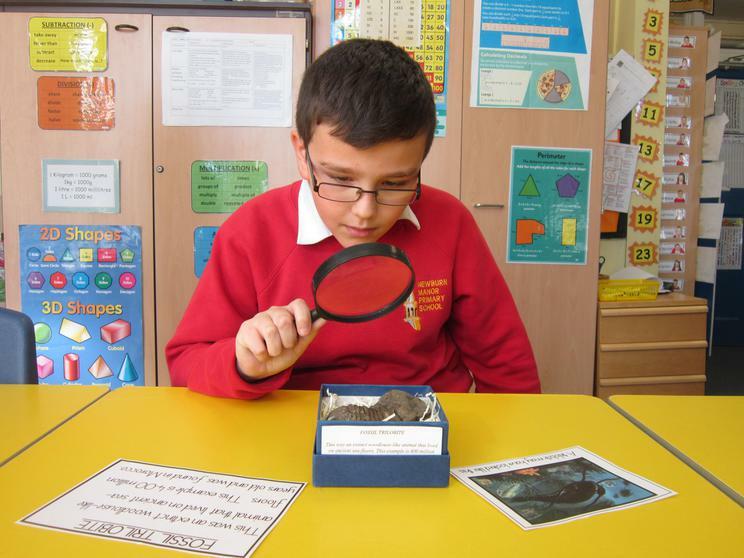 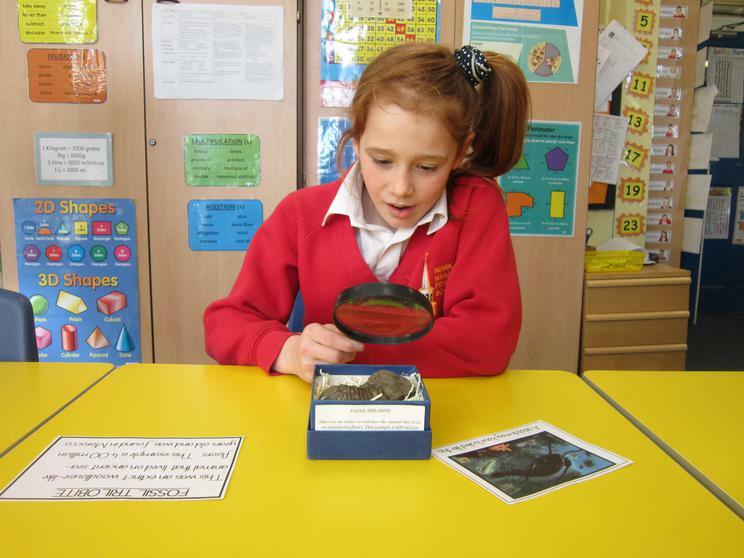 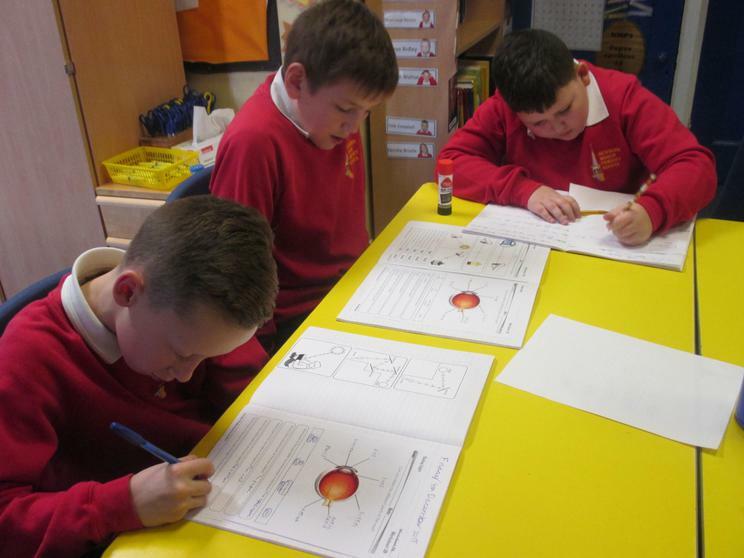 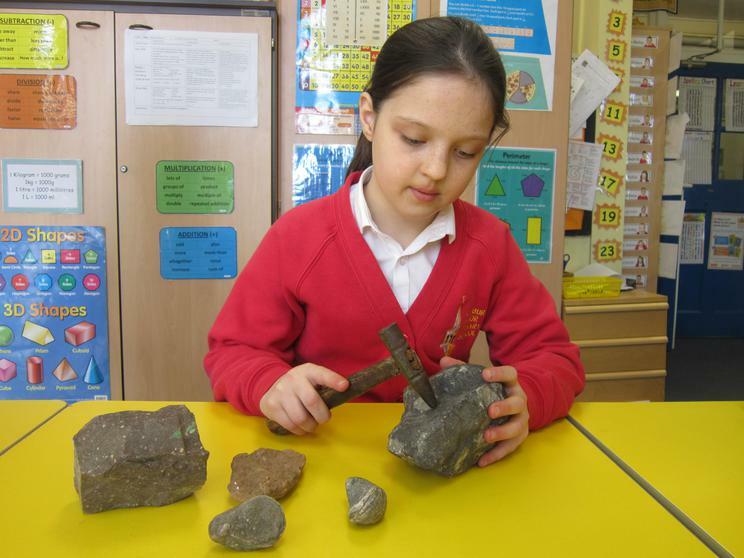 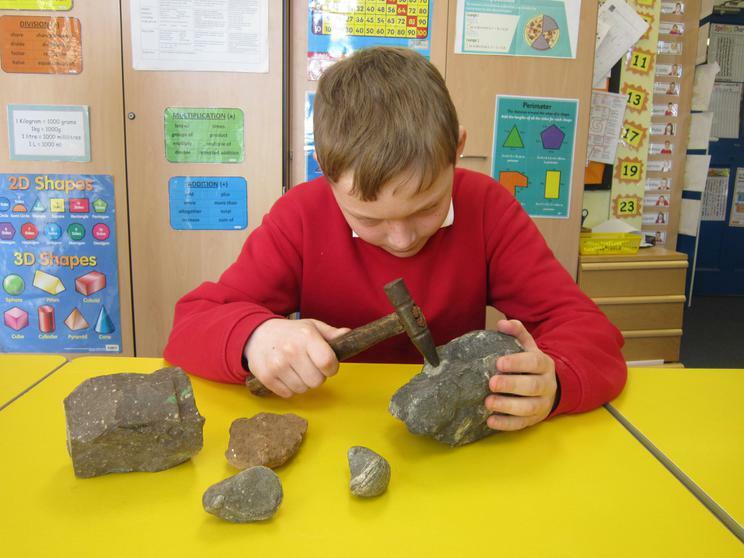 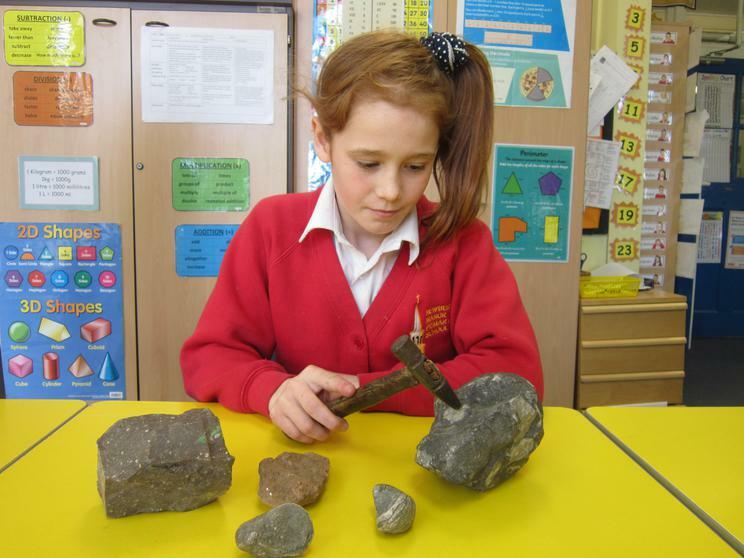 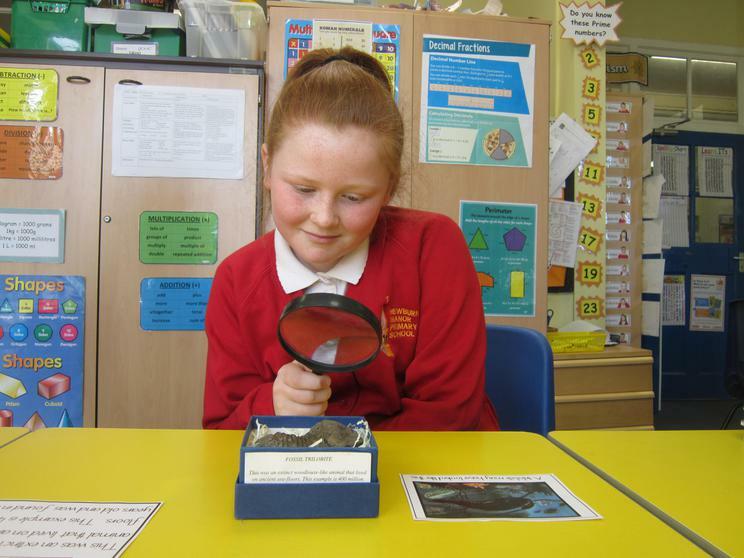 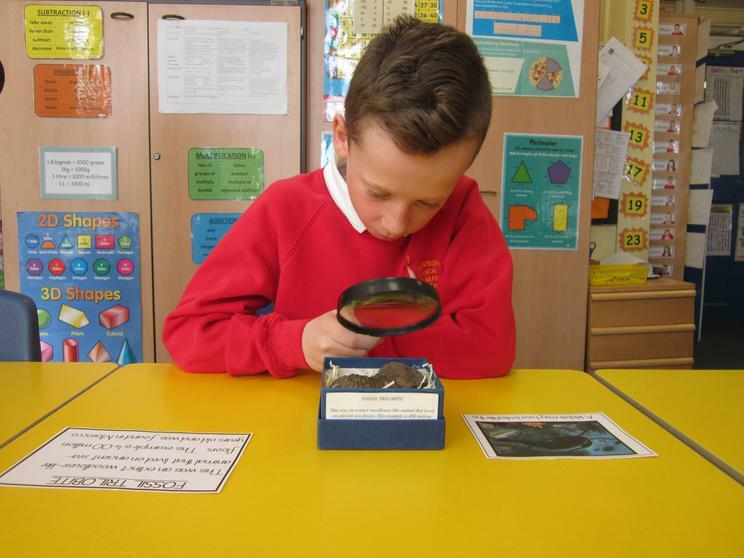 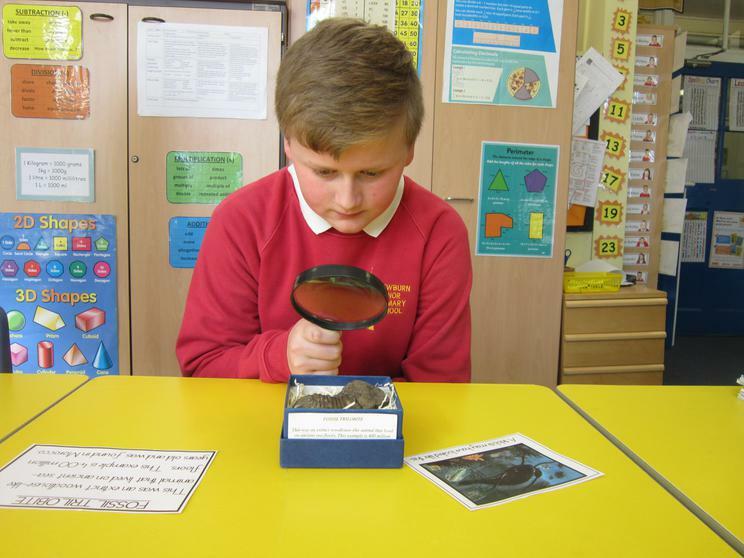 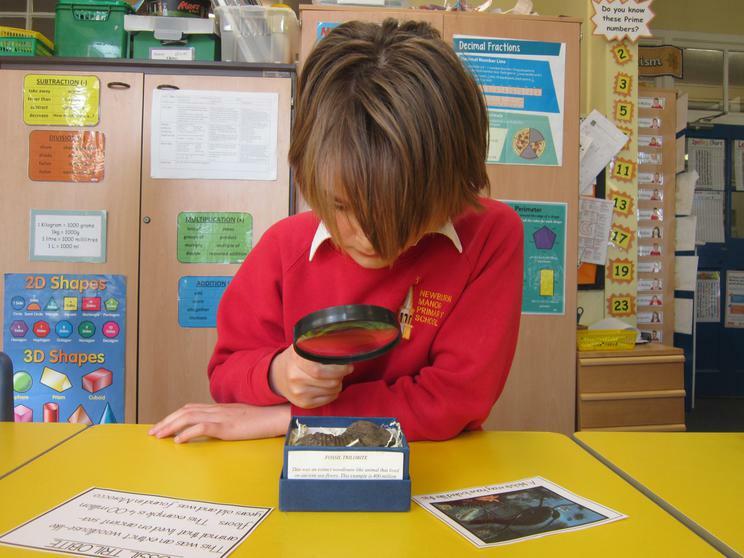 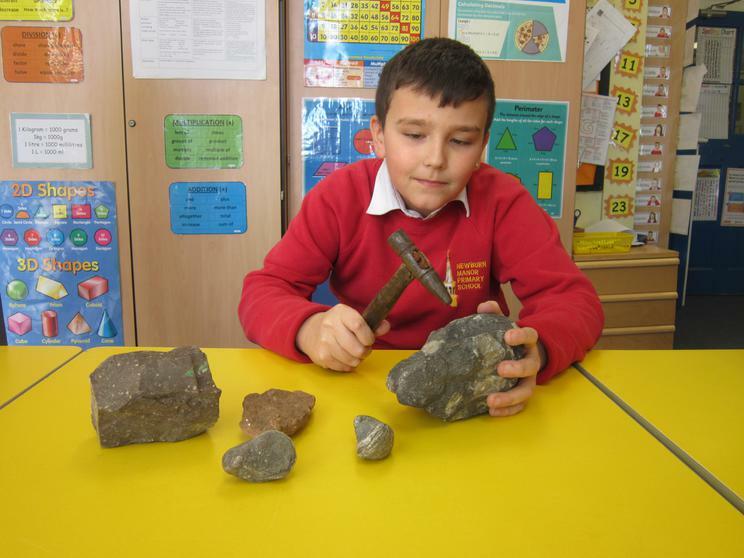 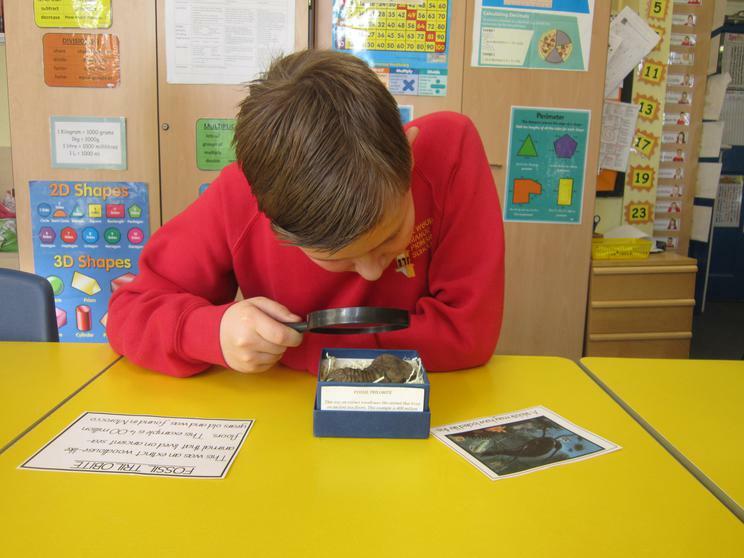 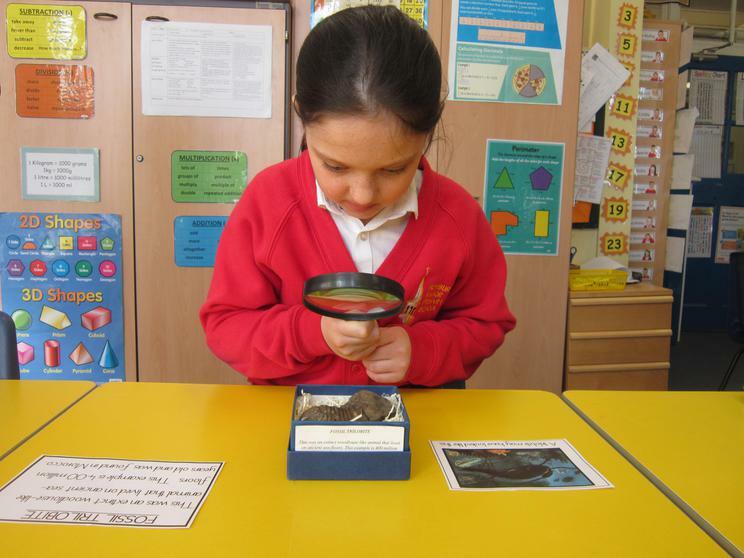 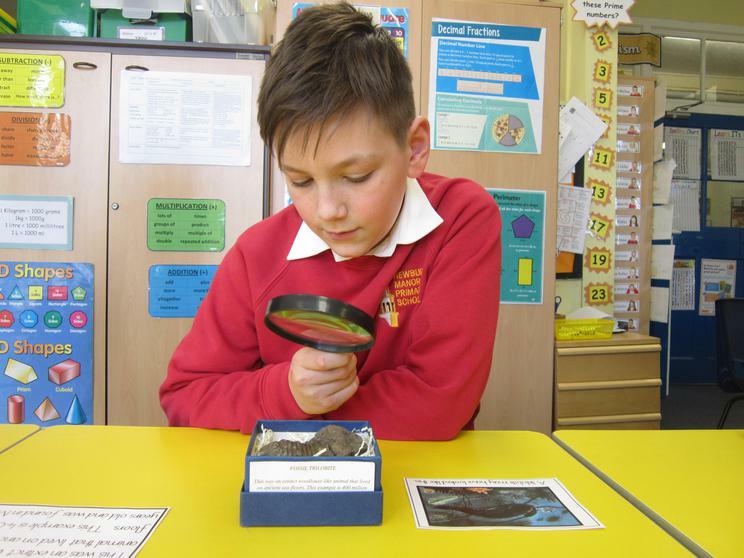 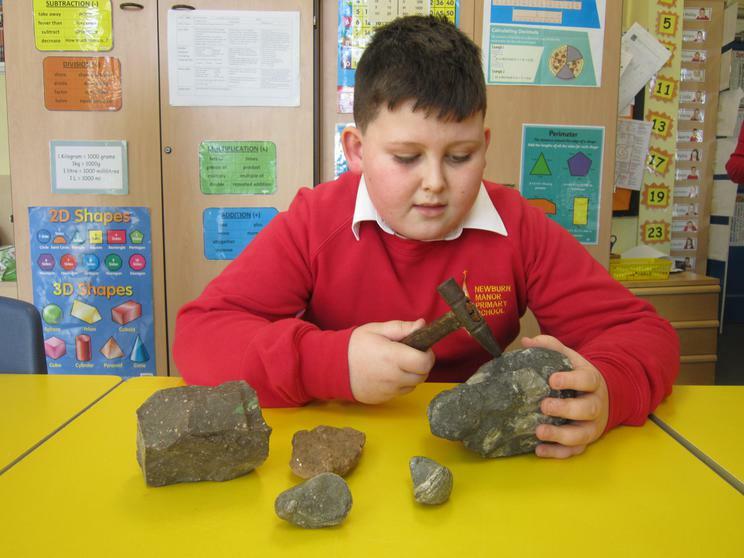 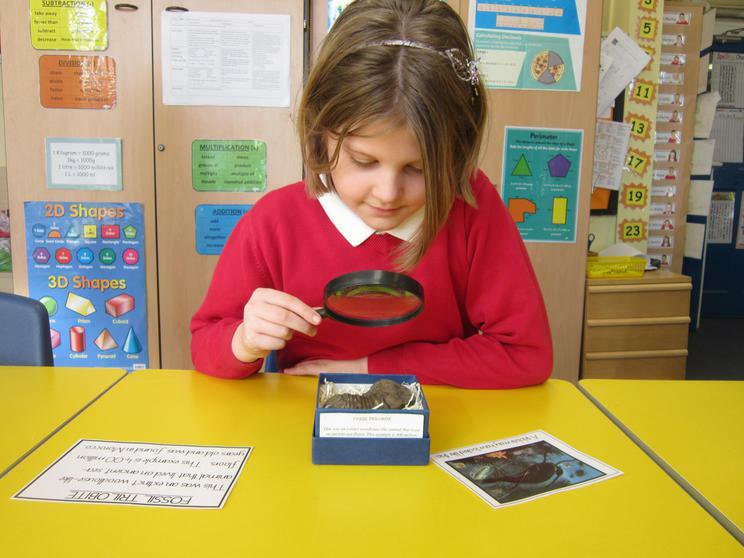 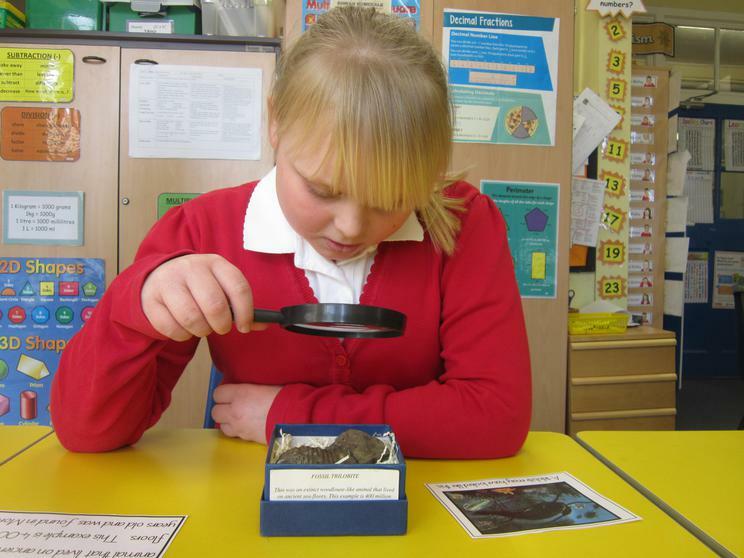 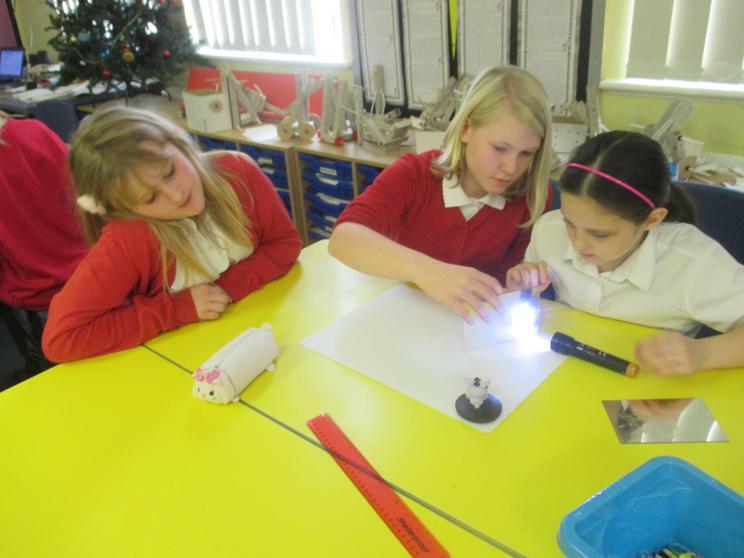 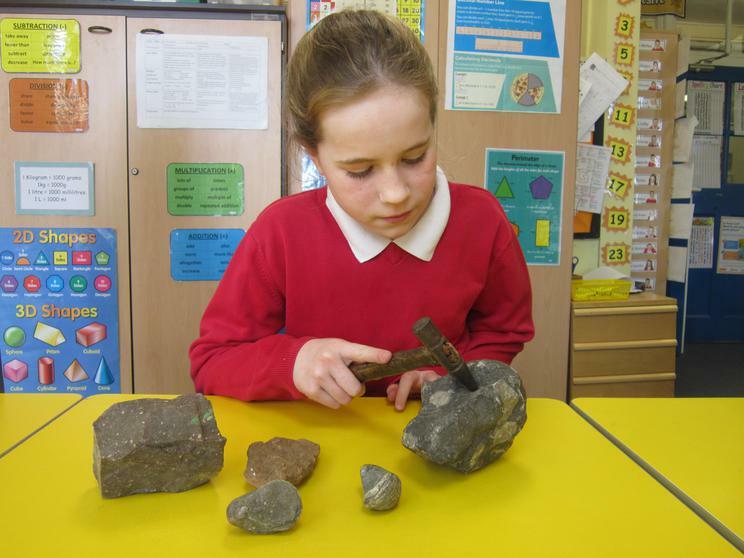 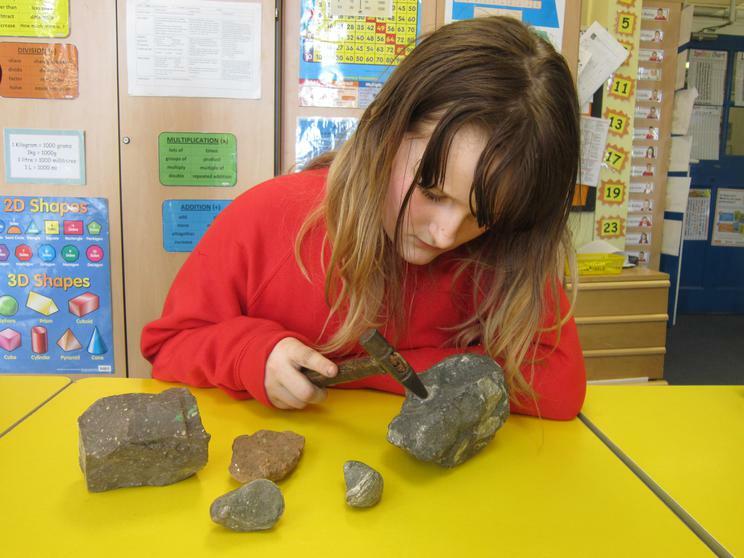 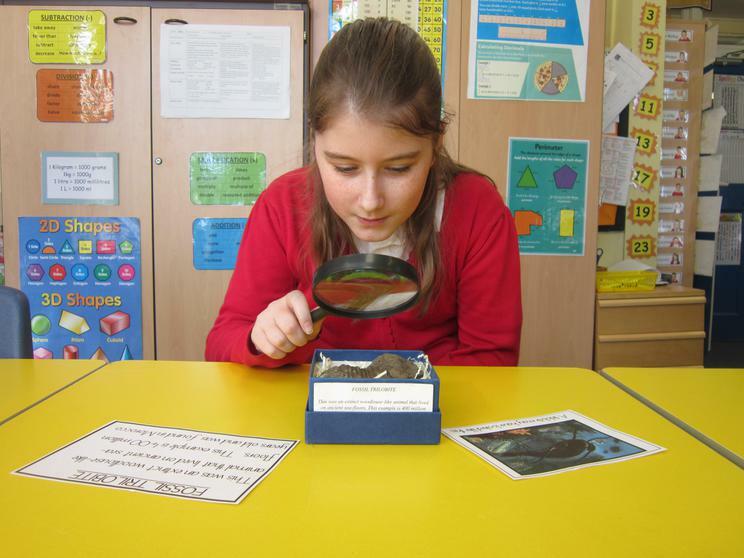 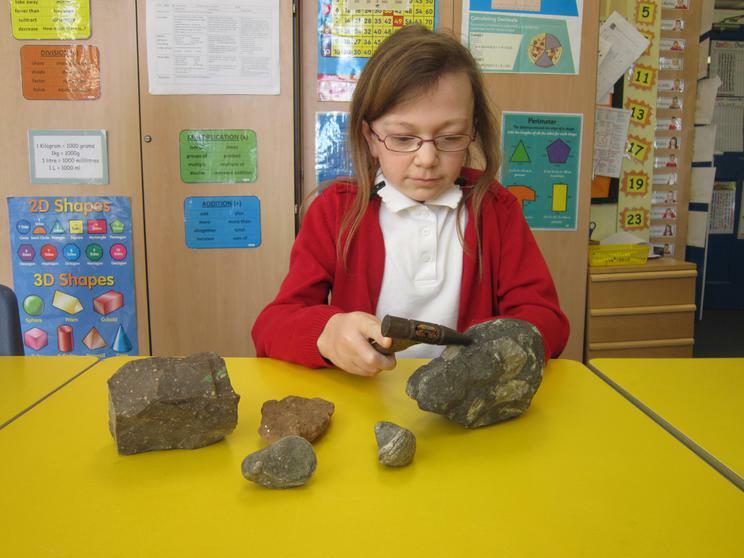 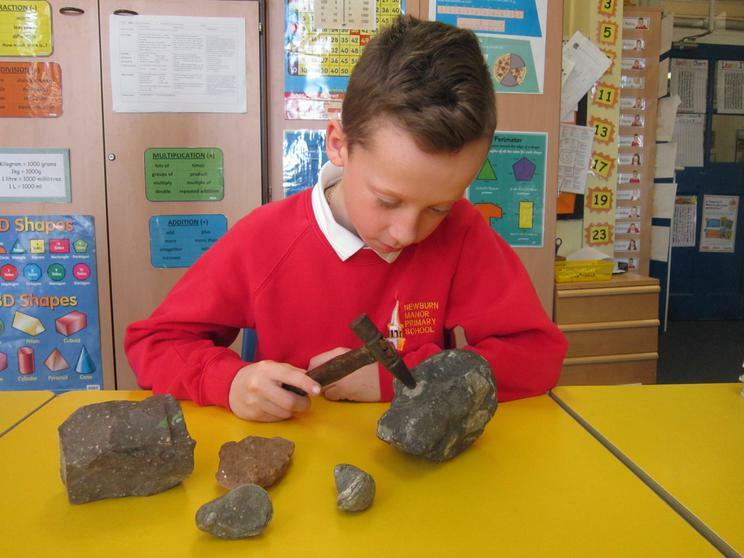 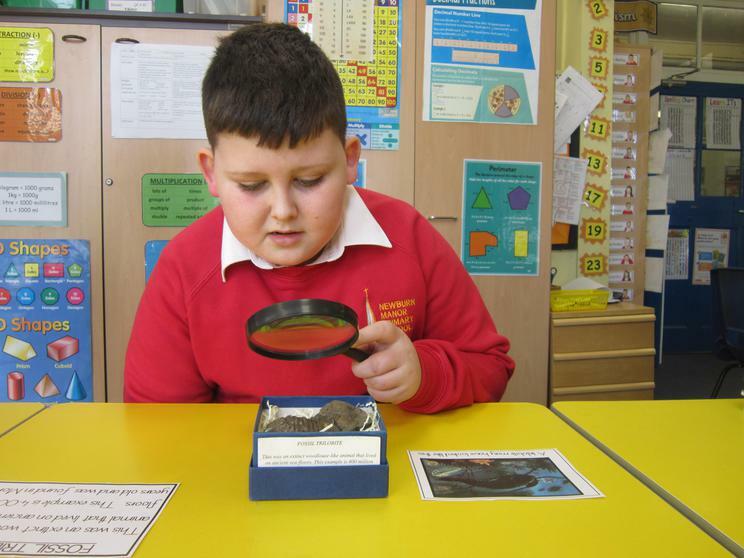 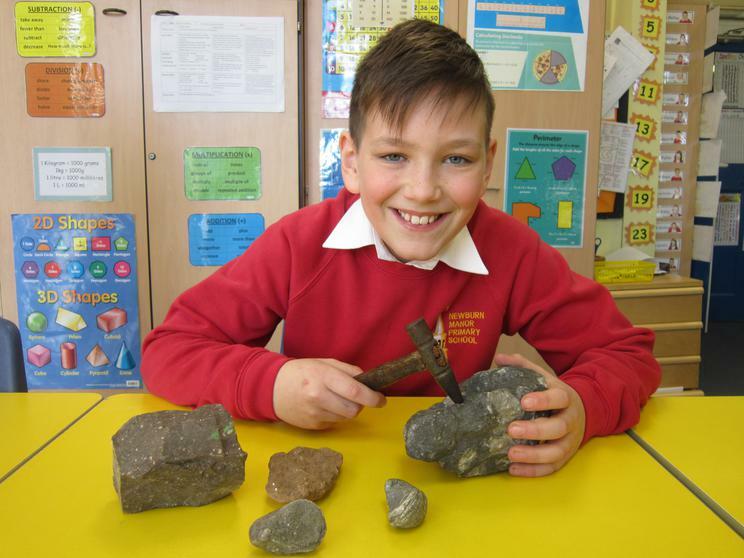 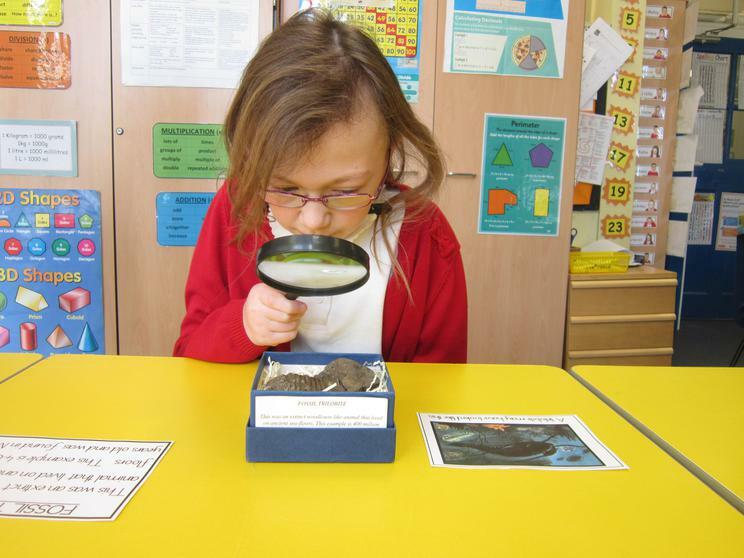 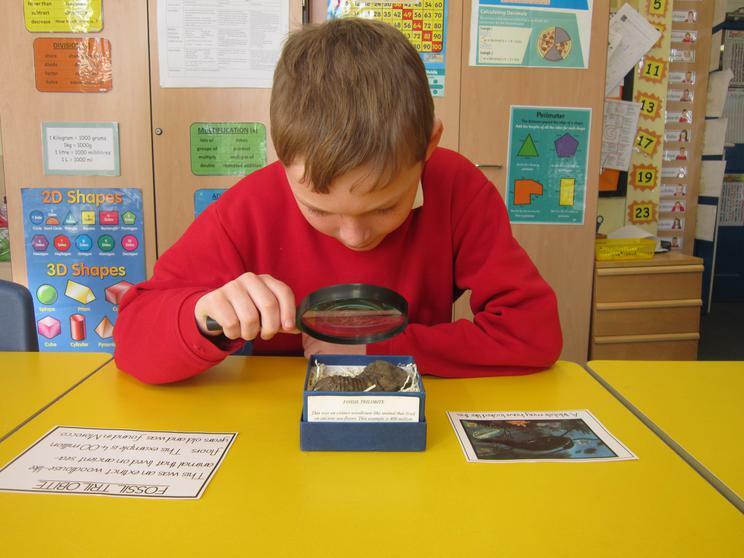 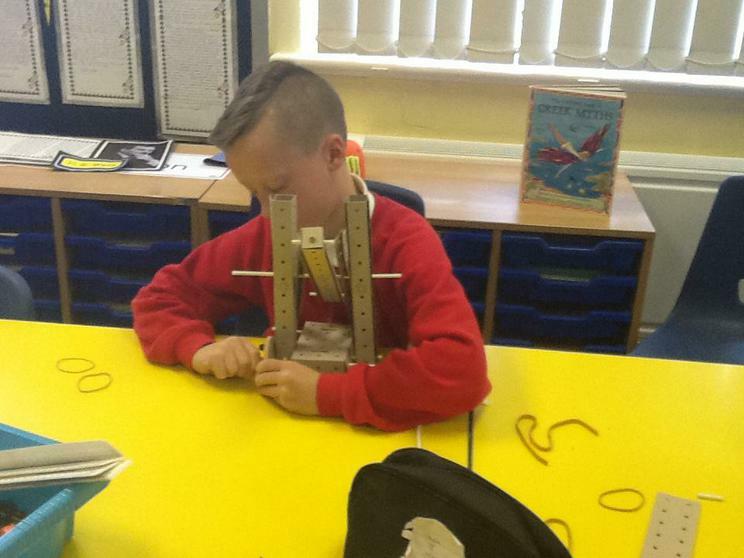 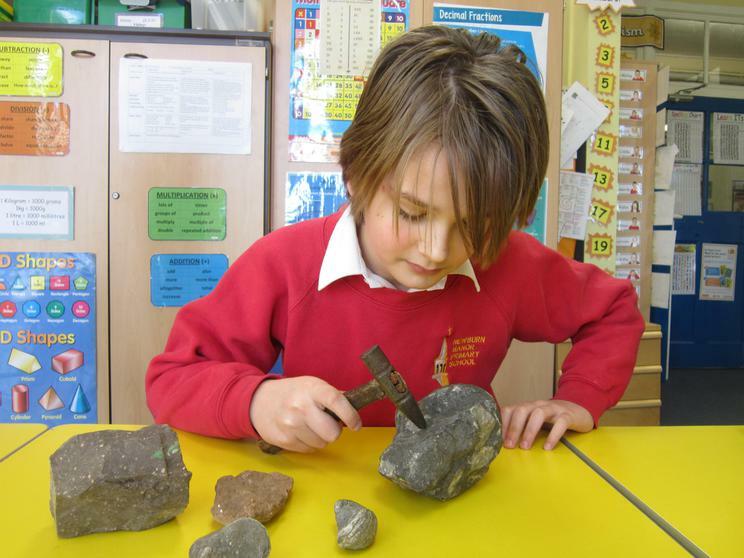 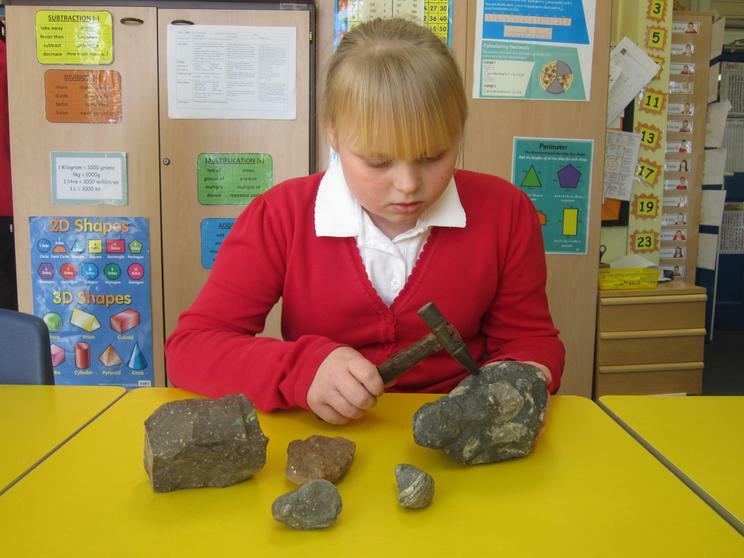 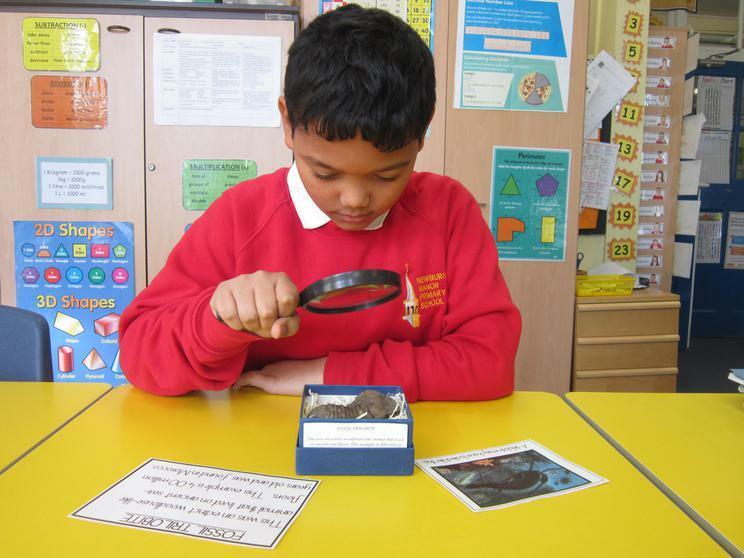 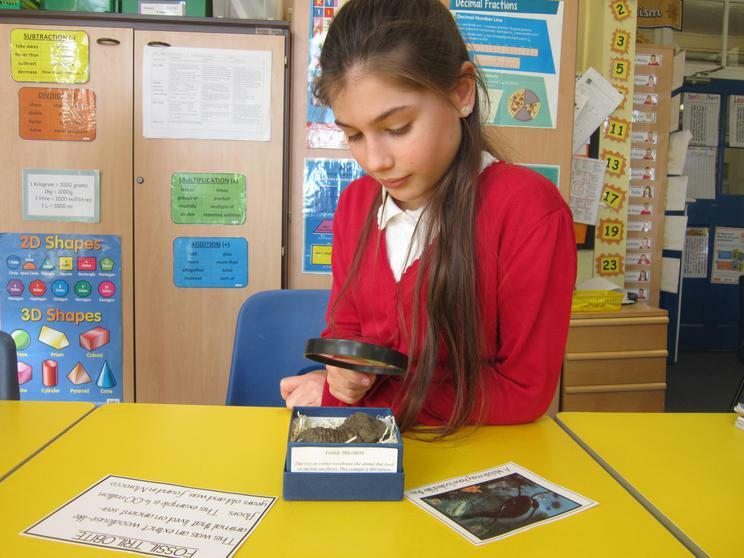 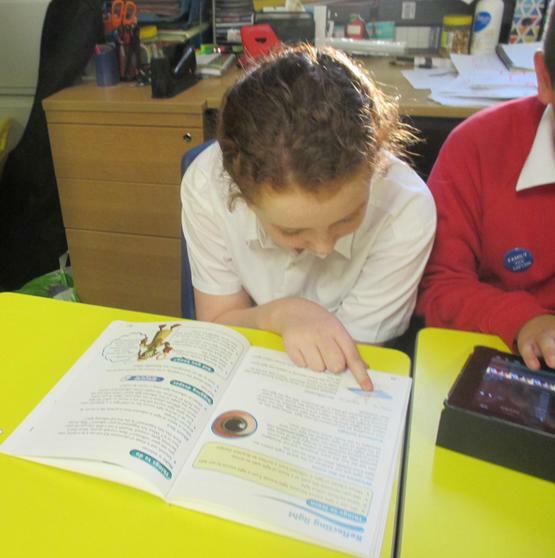 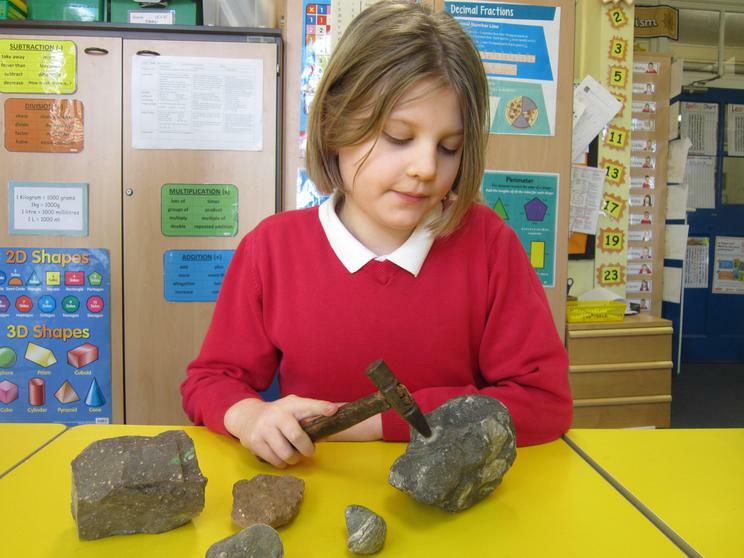 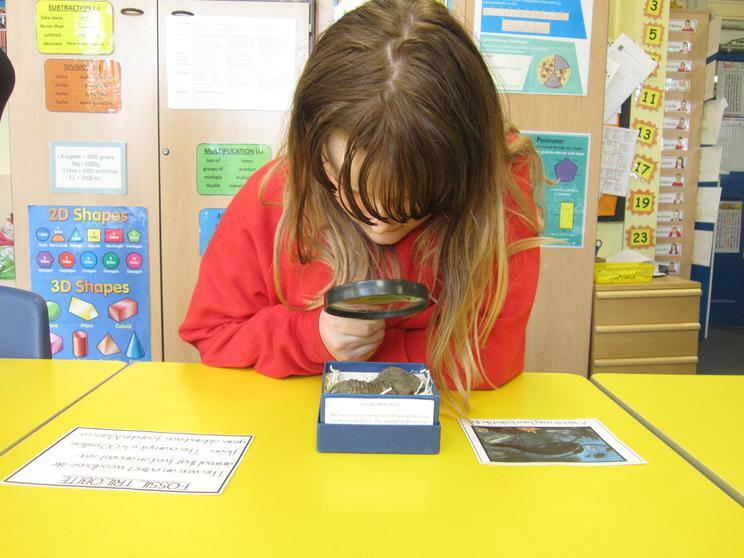 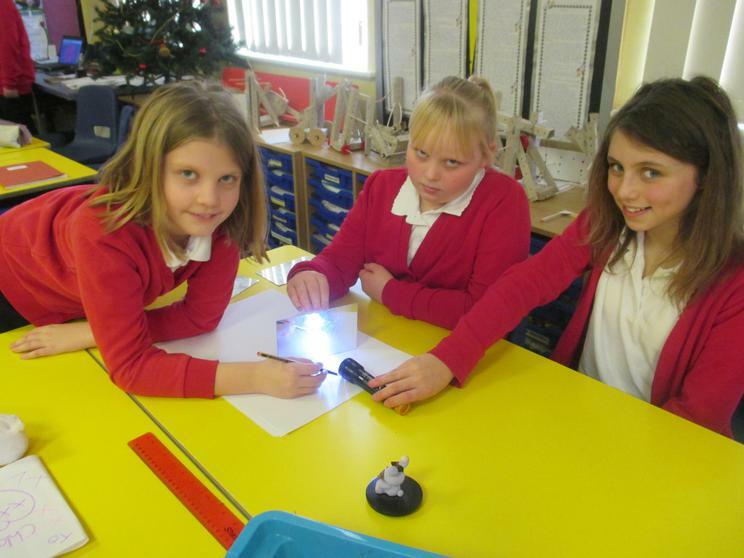 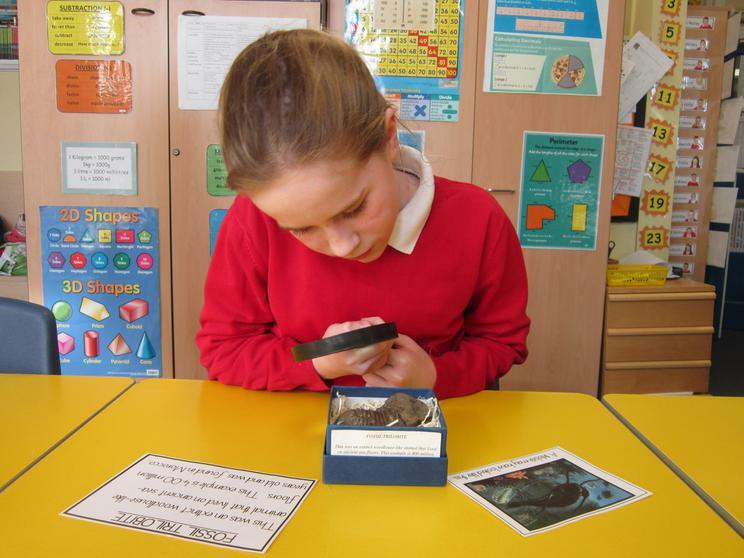 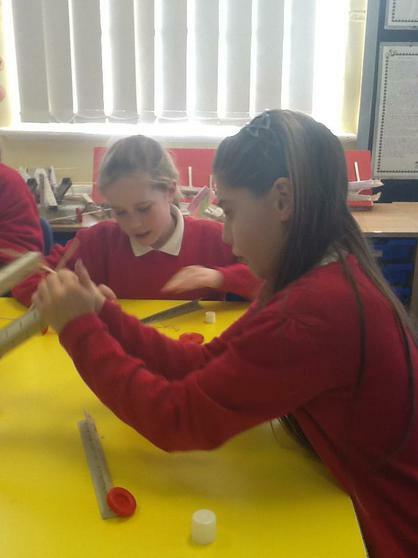 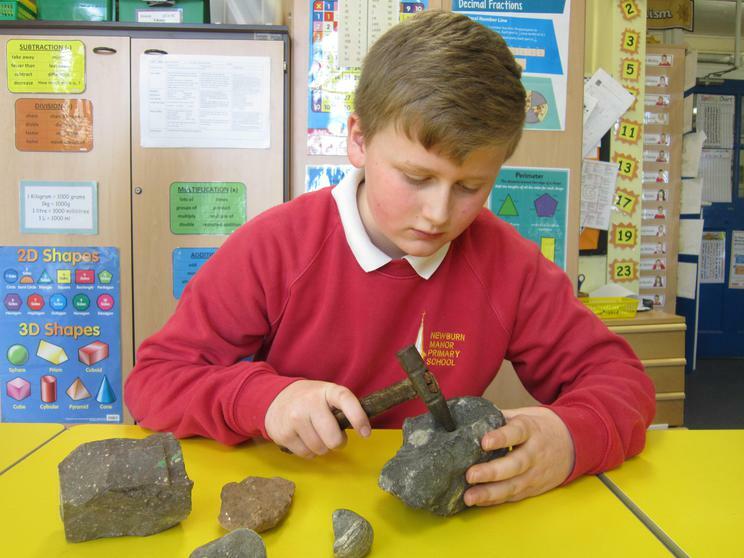 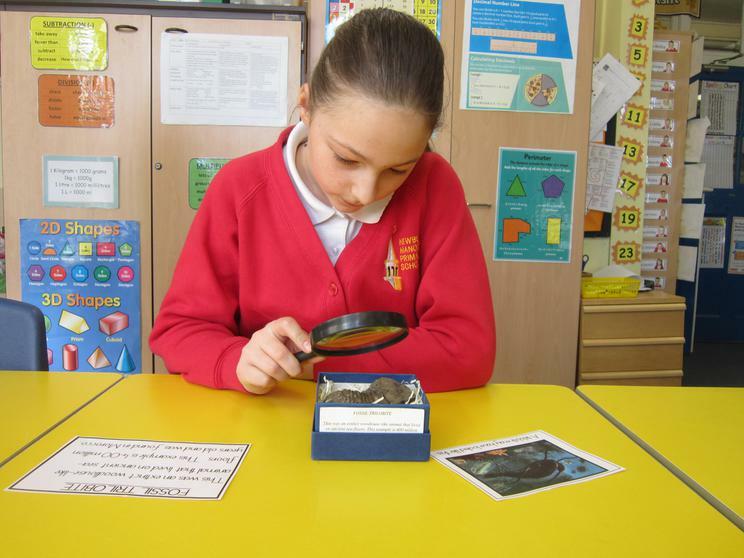 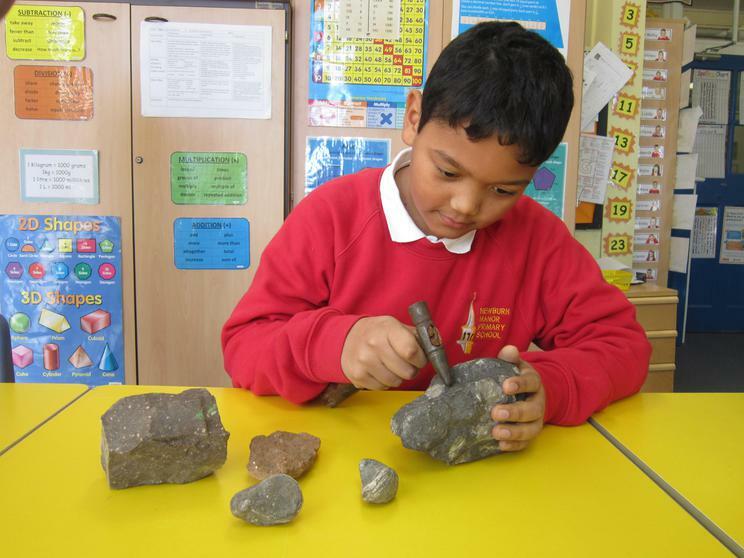 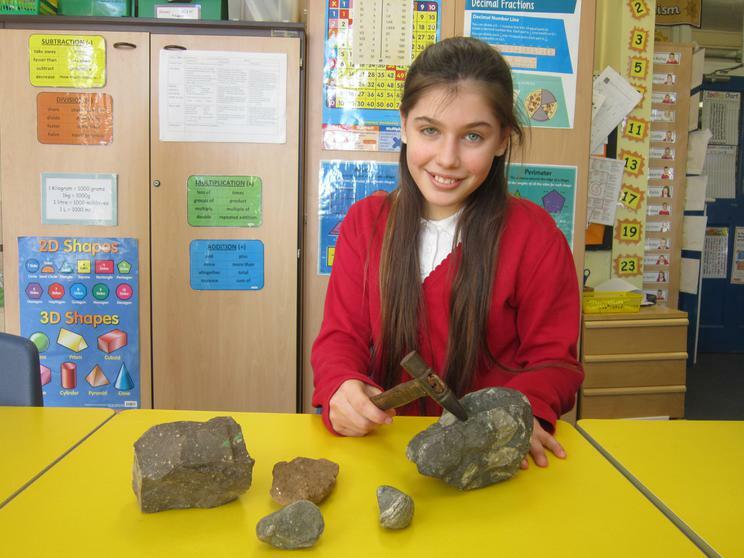 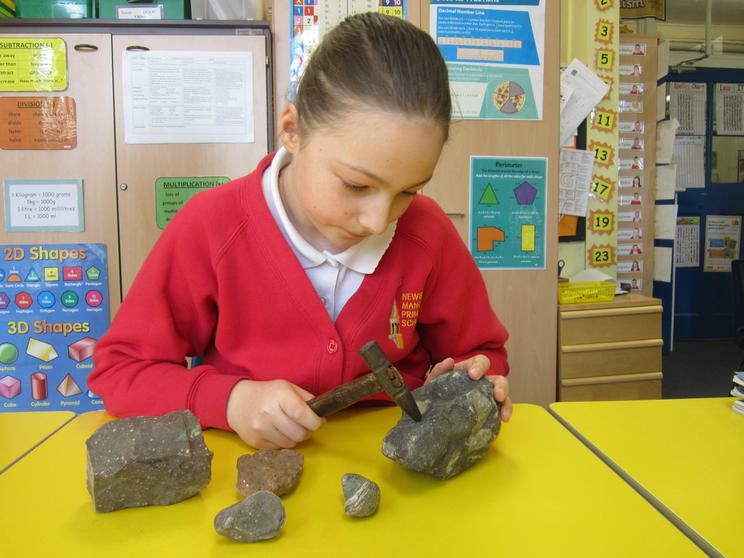 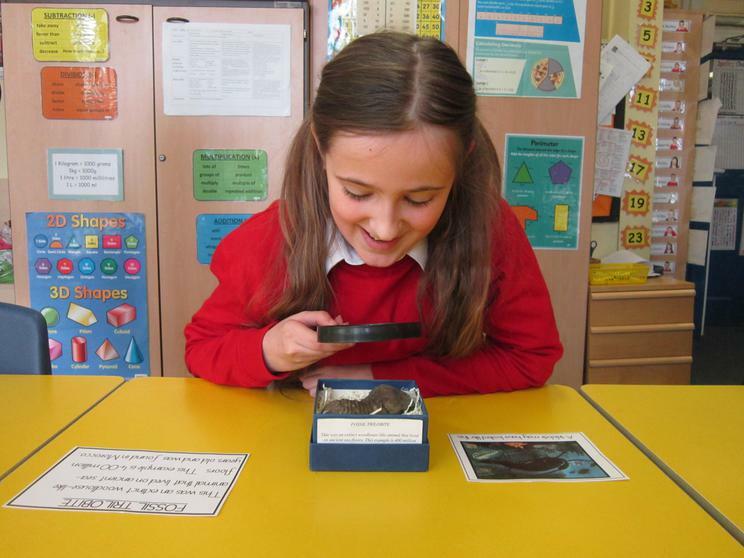 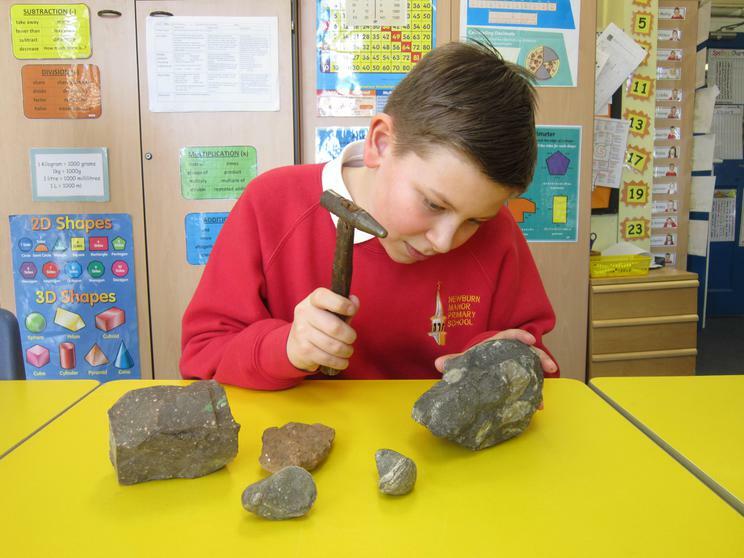 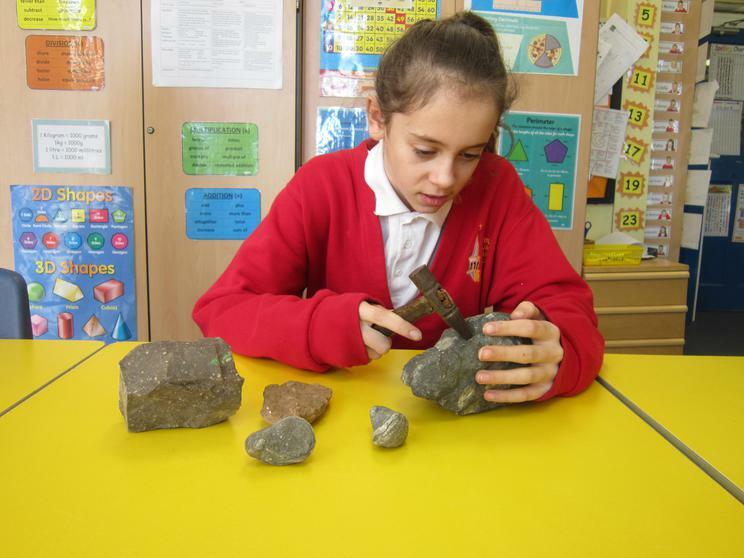 Year 6 children have been learning about the fossil hunter Mary Anning and we tried our hand at examining fossils. 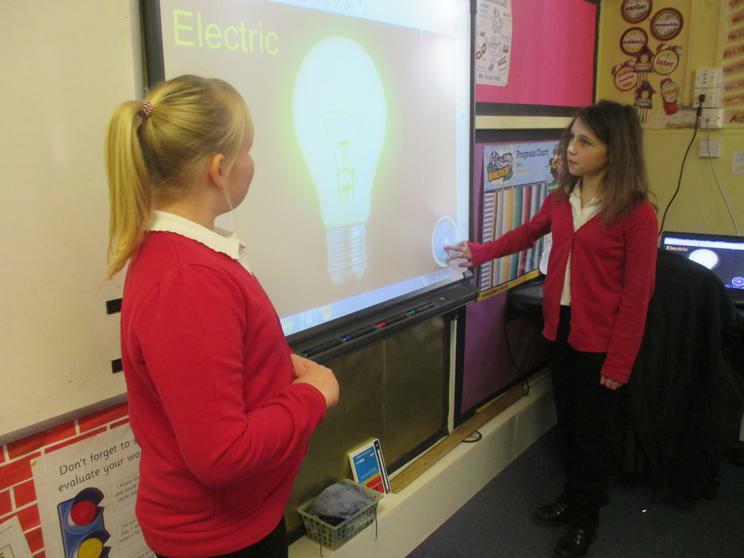 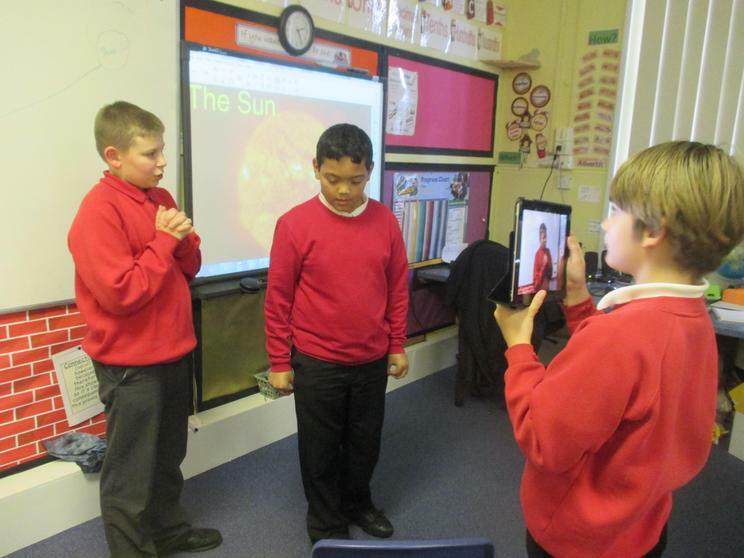 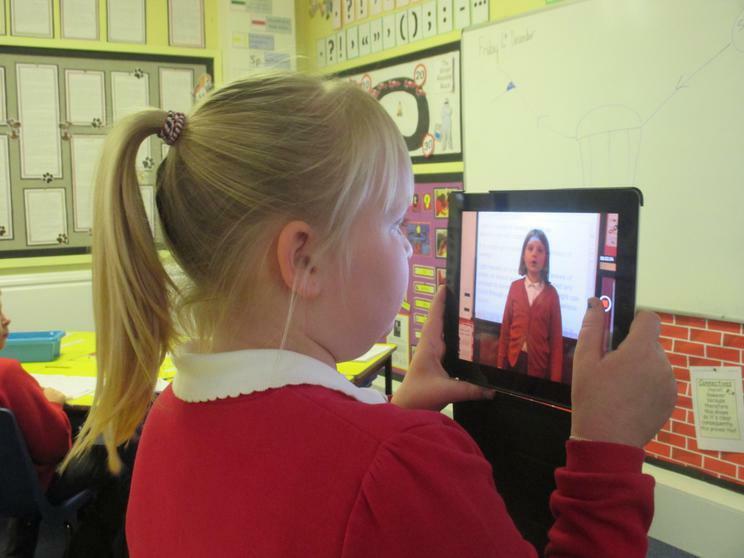 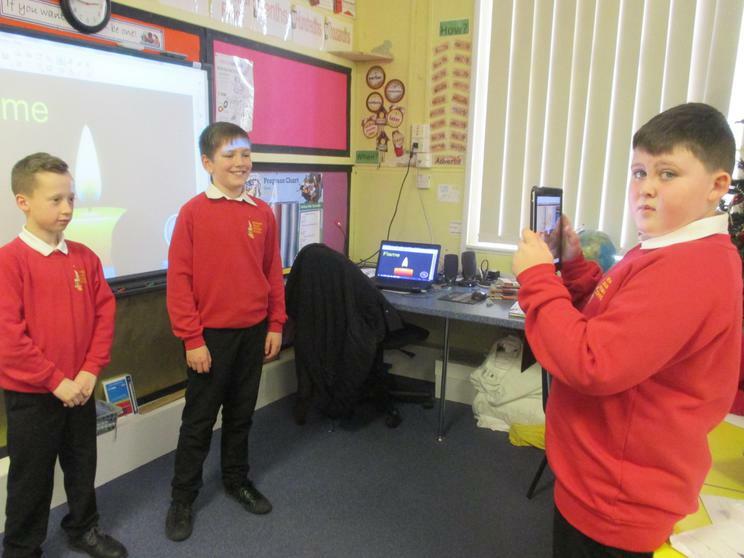 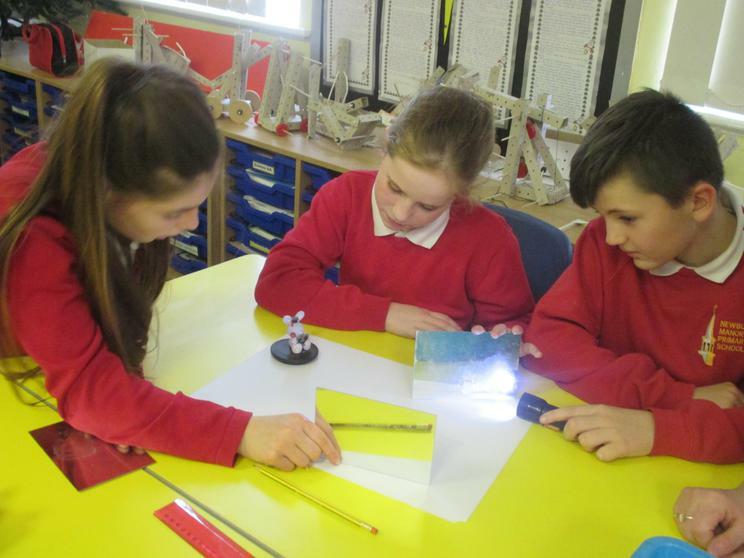 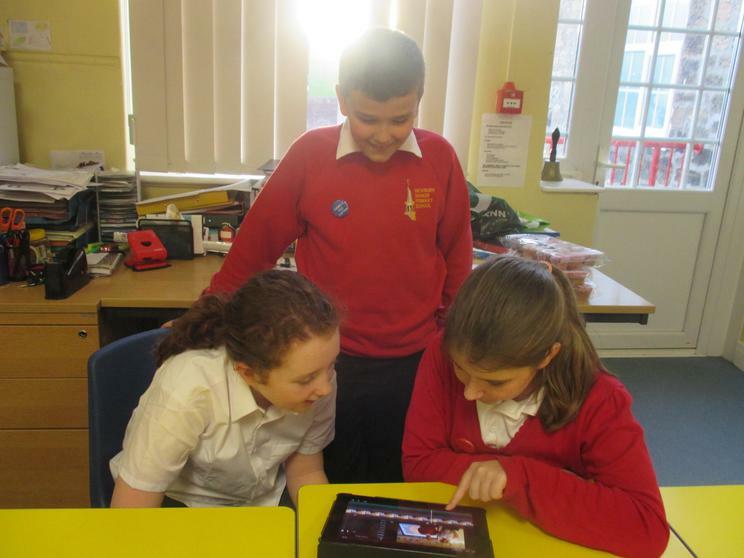 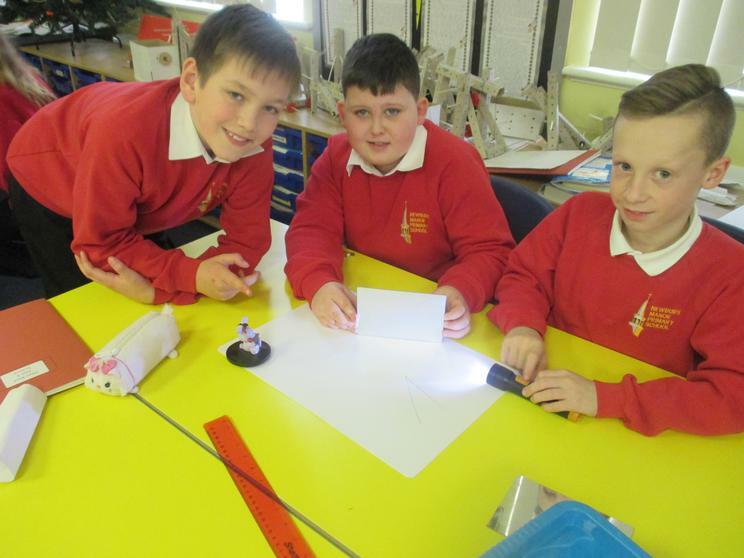 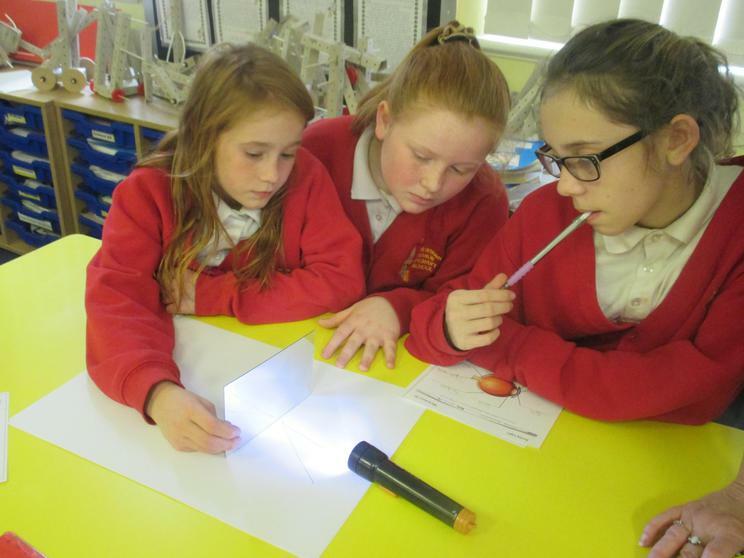 Year 6 children have been carrying out light investigations and using iPads to create their very own video show 'The Light Lab' to explain their findings. 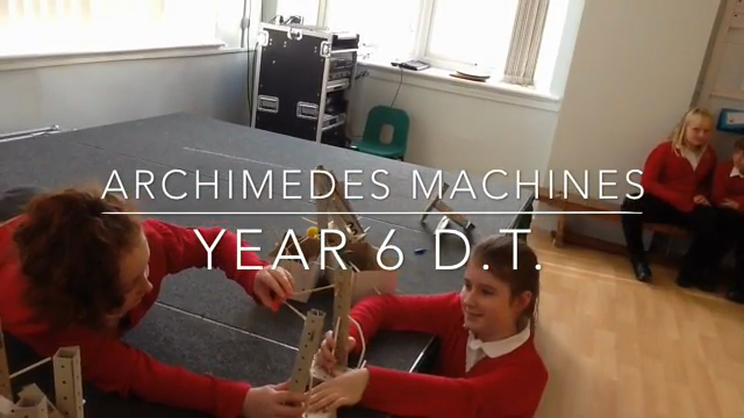 During the Siege of Syracuse, Archimedes invented many war machines to keep the Romans at bay. 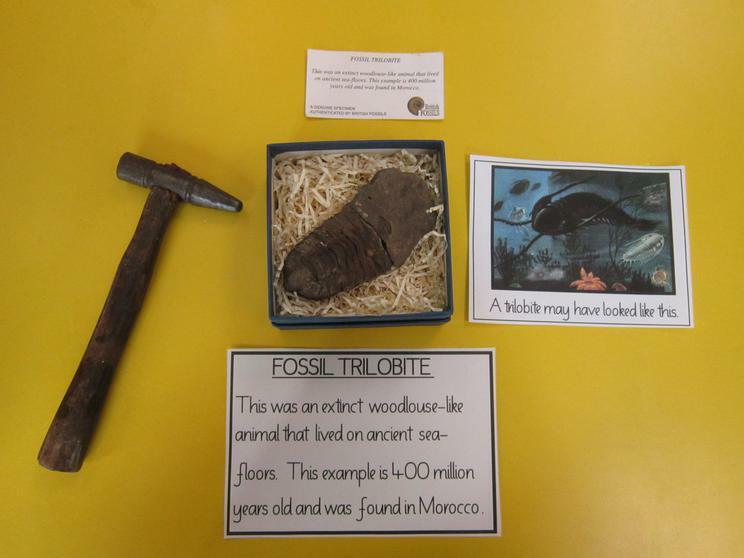 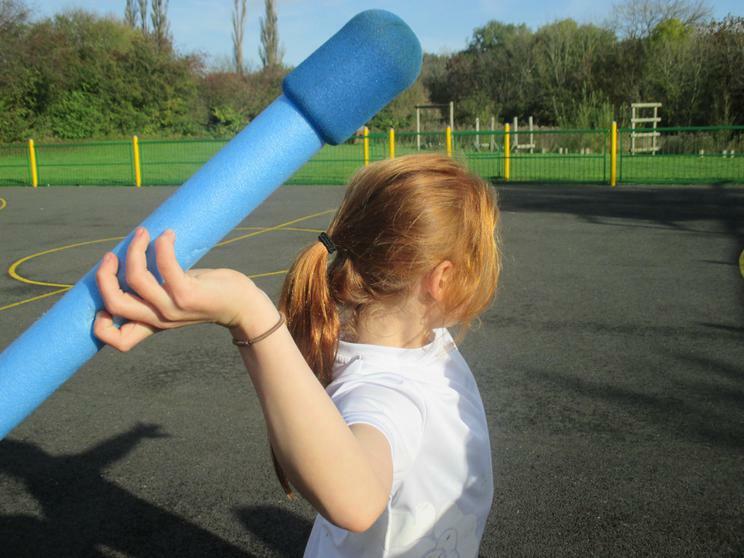 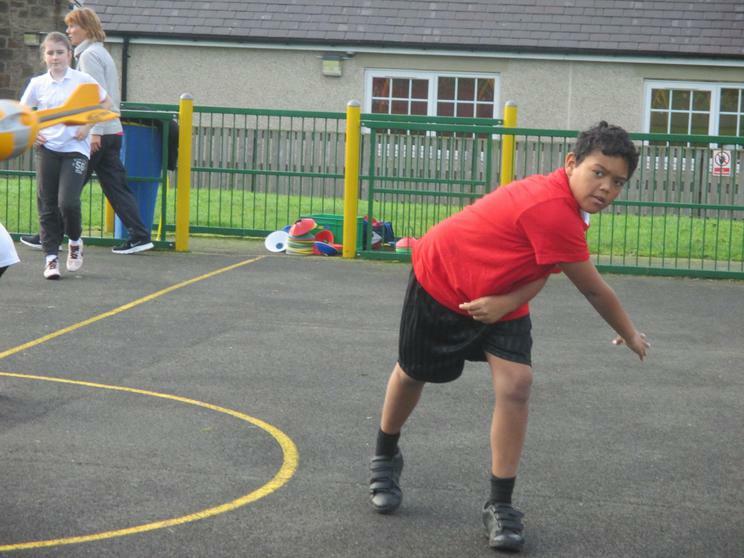 Year 6 children have been trying to recreate some of them. 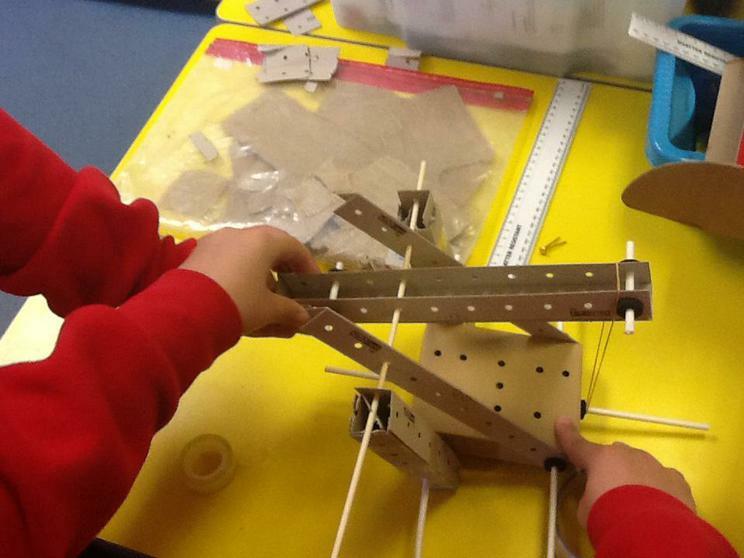 Some truly remarkable machines, inspired by the Siege of Syracuse. 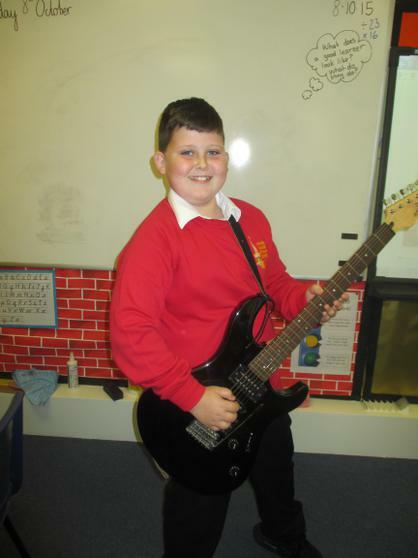 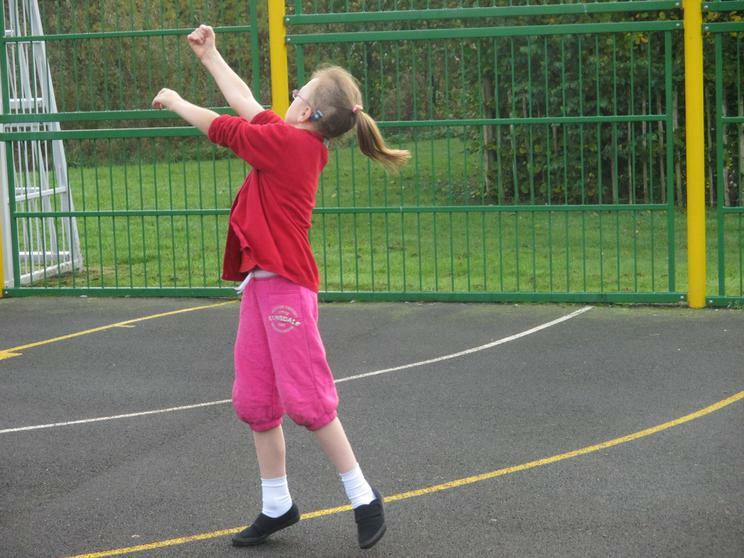 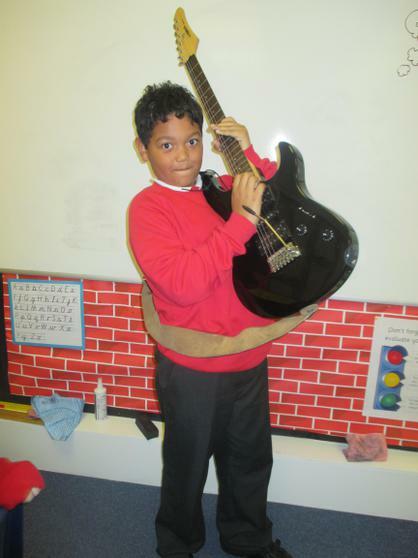 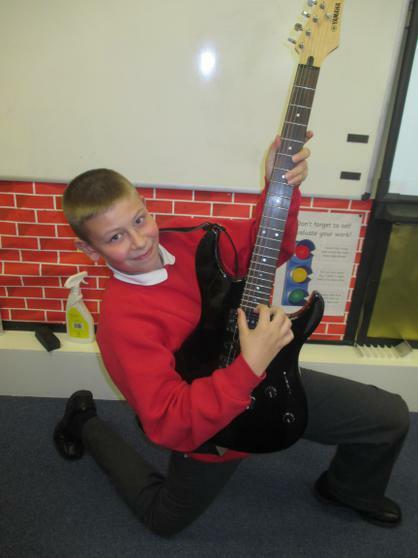 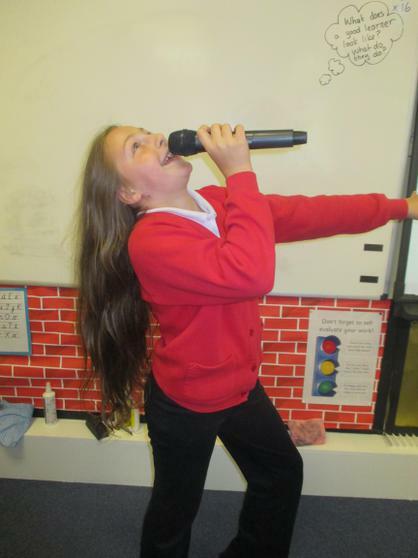 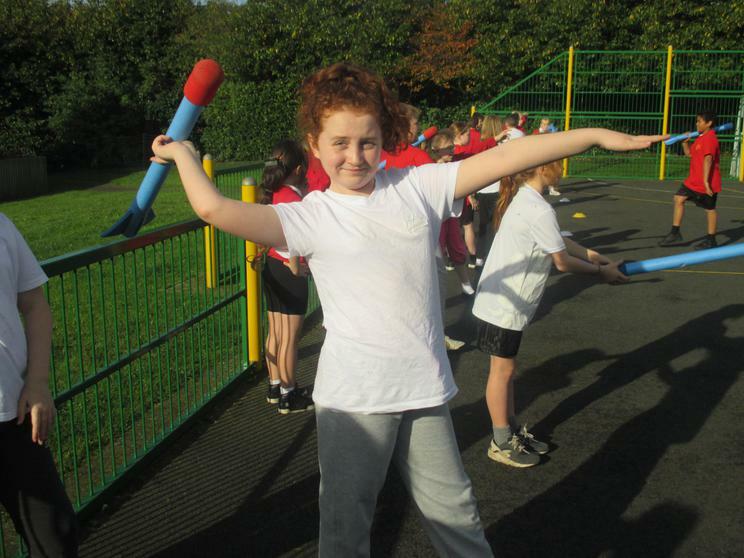 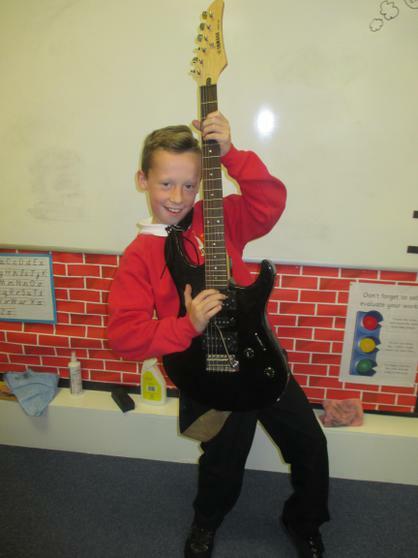 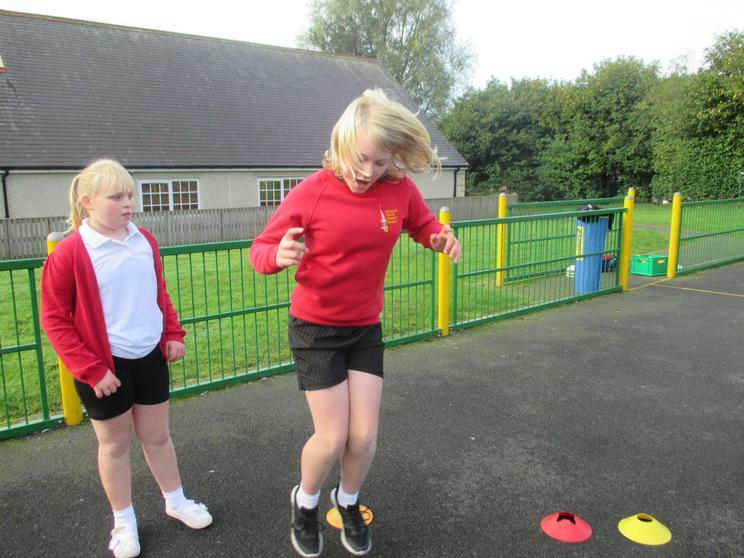 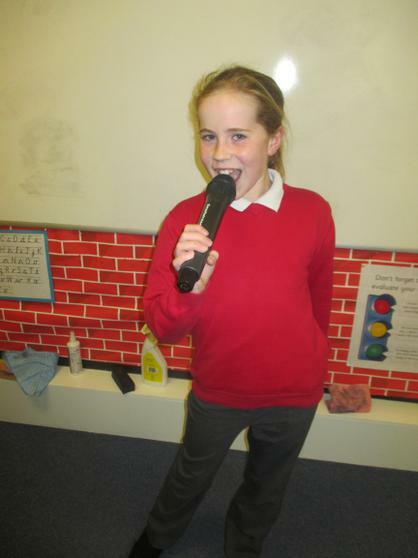 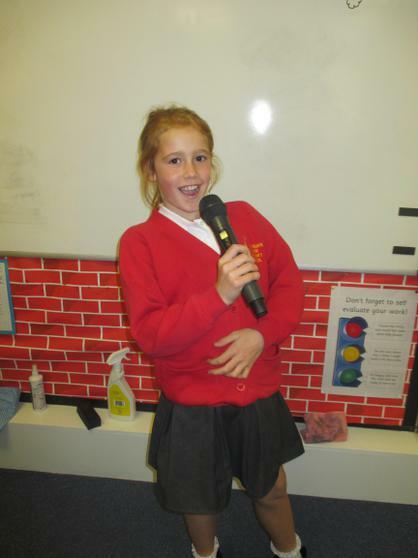 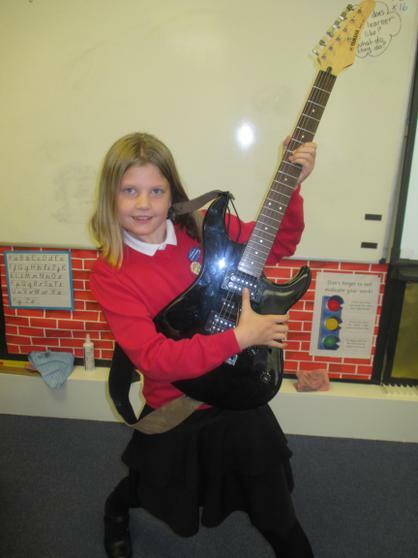 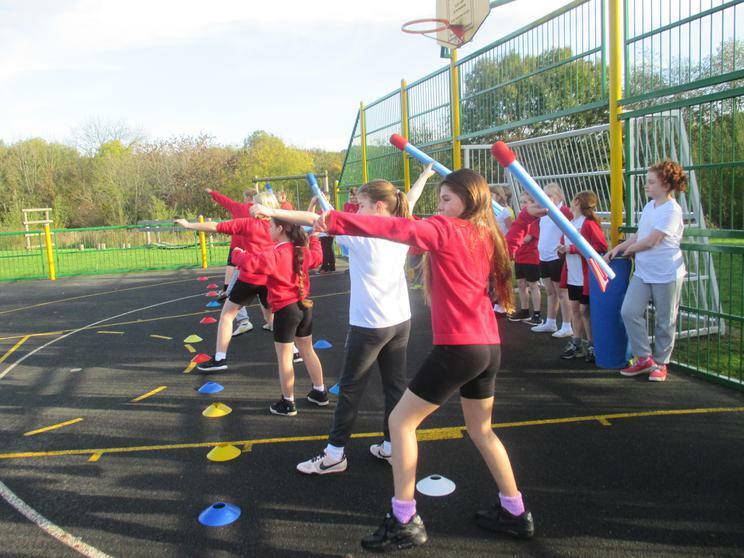 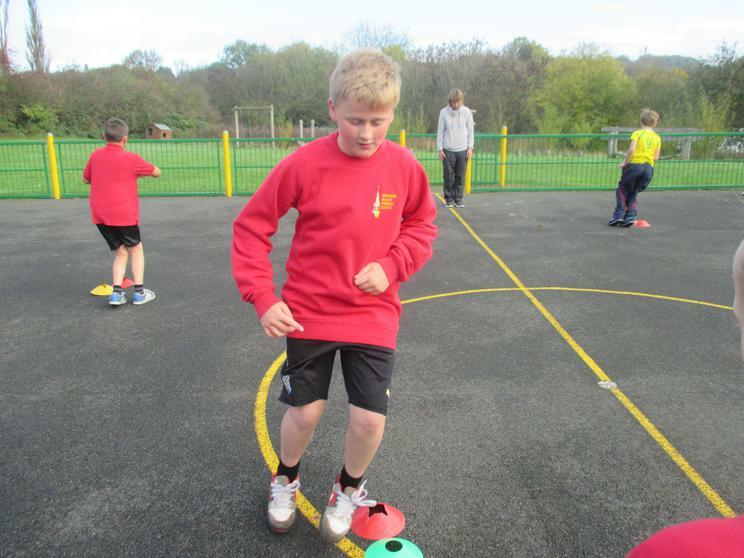 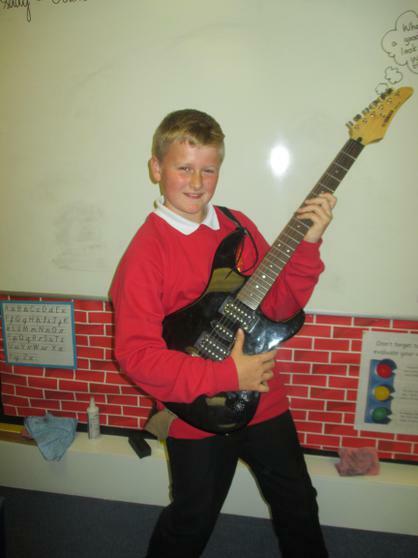 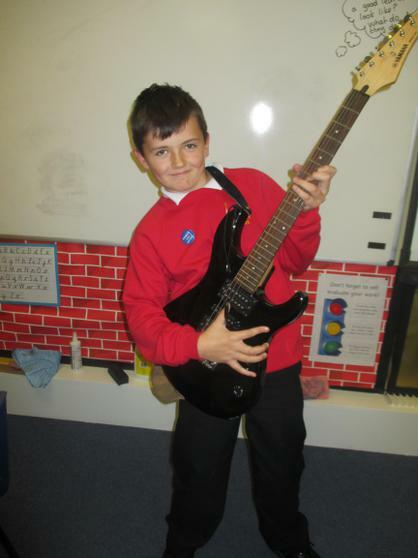 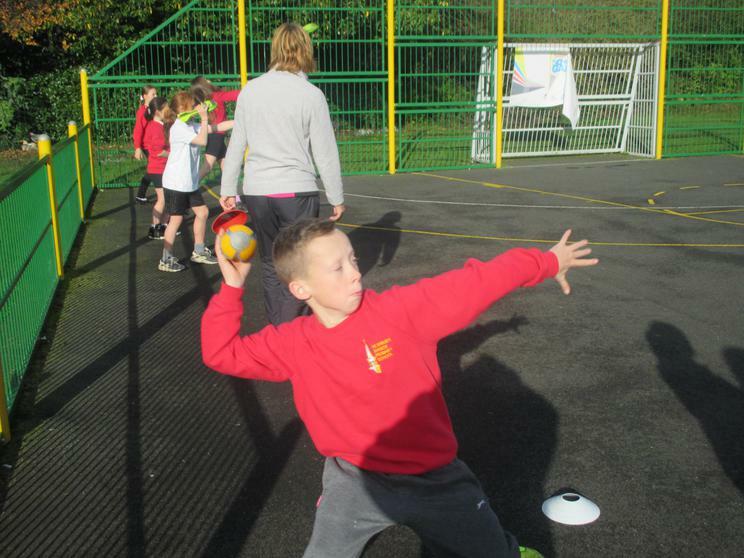 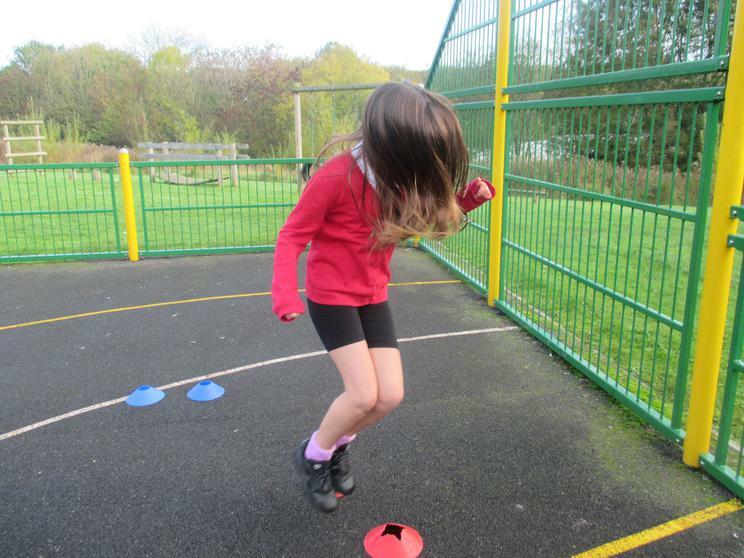 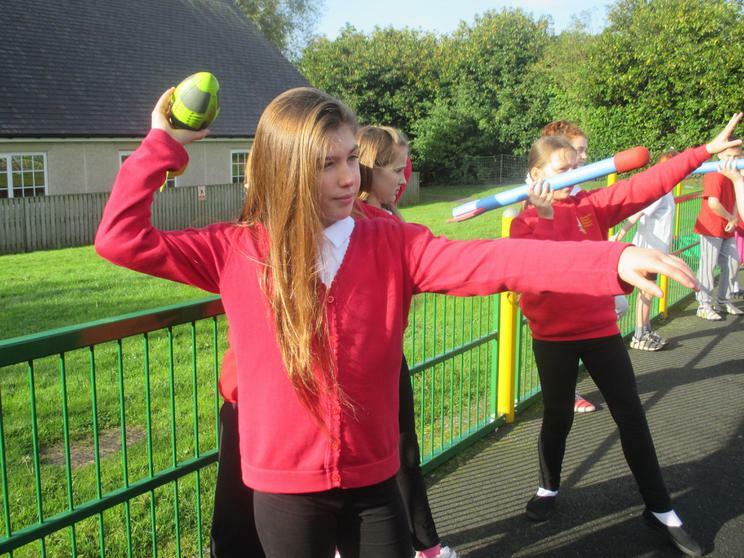 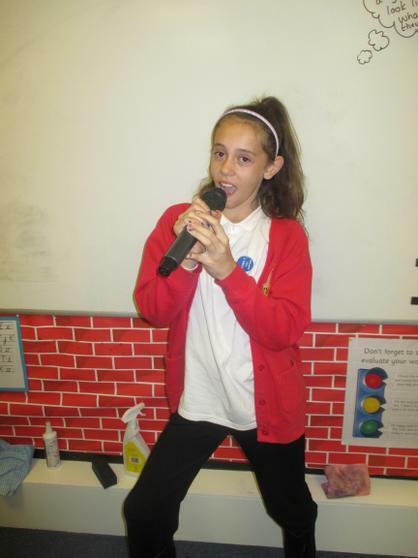 Year 6 enjoyed learning to sing 'Livin' on a Prayer' by Bon Jovi. 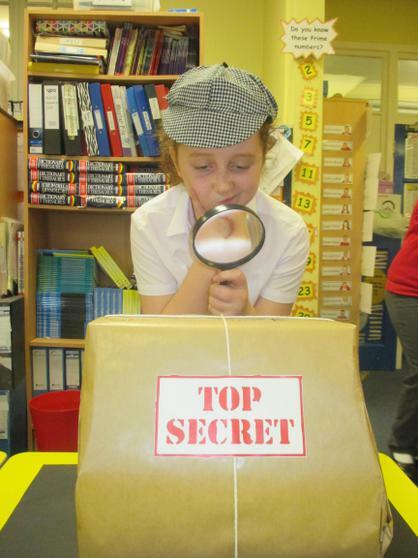 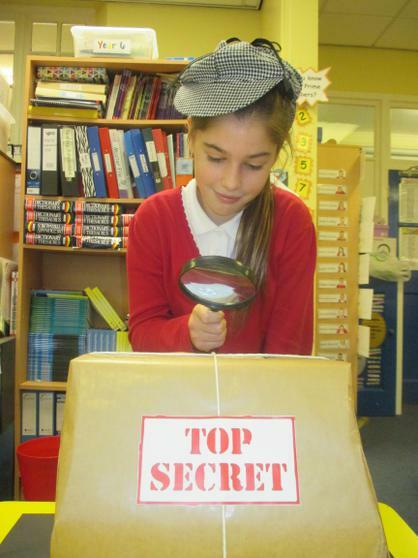 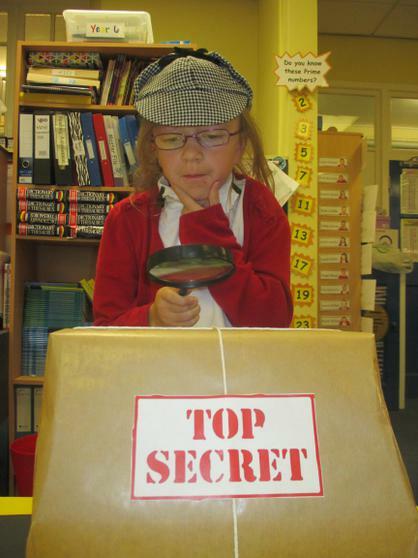 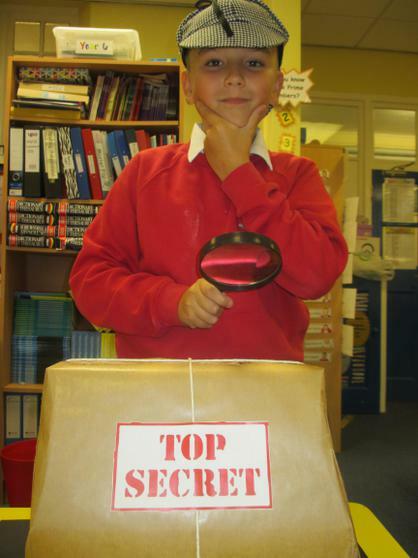 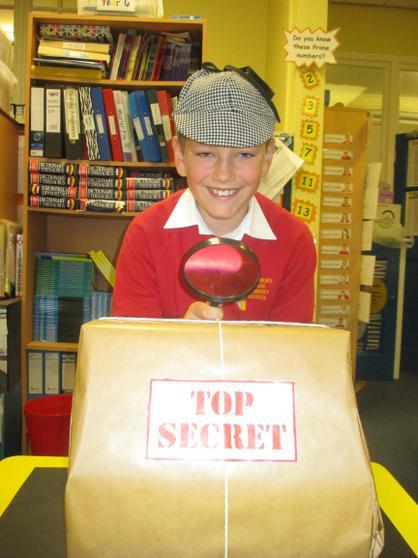 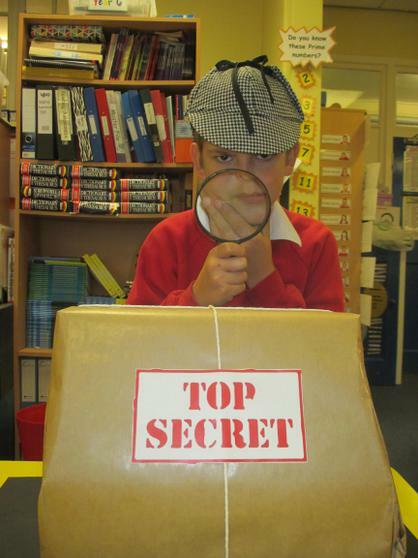 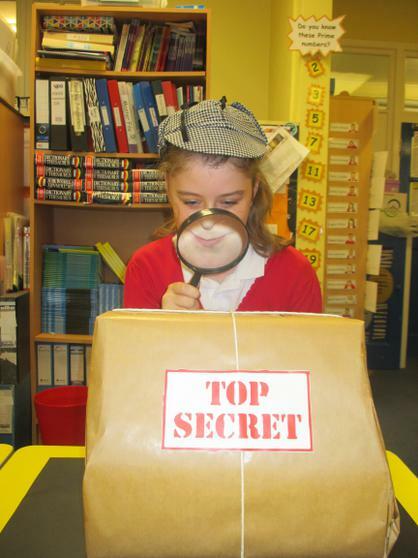 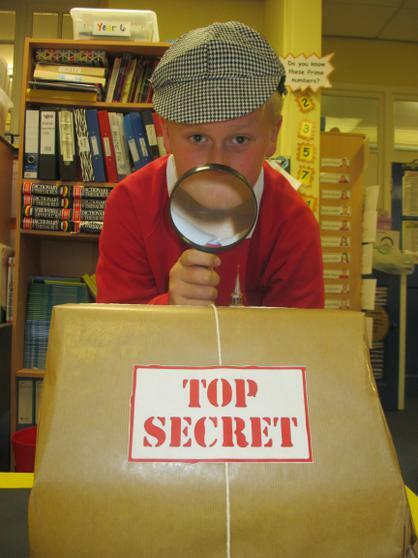 Come and read our fantastic mystery stories on the wall outside the Year 6 classroom. 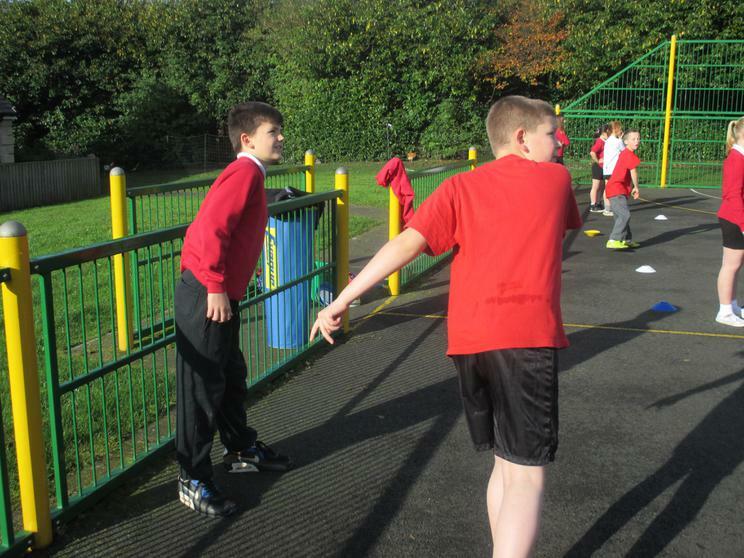 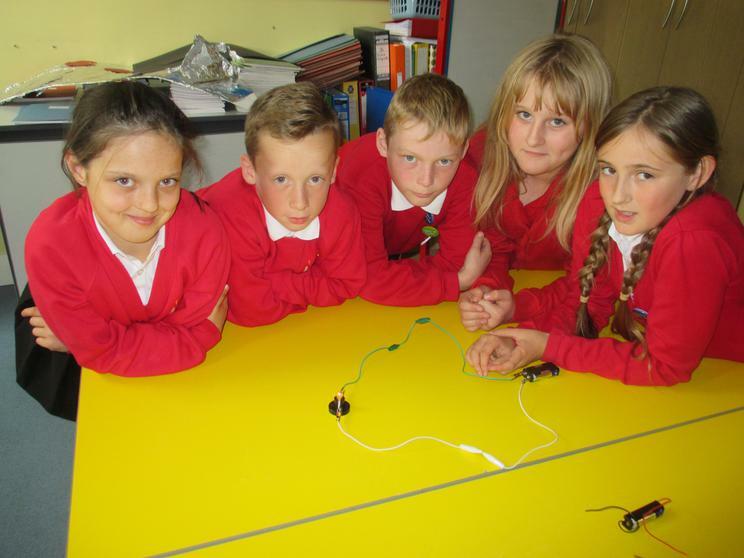 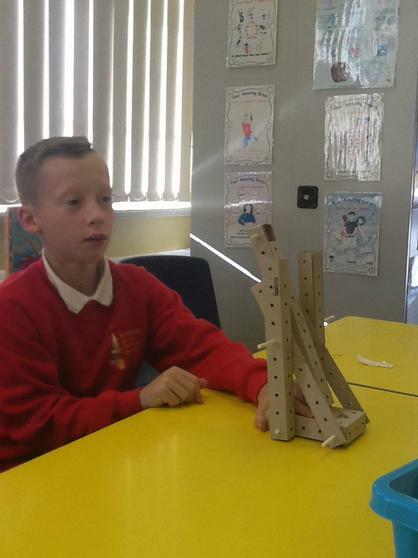 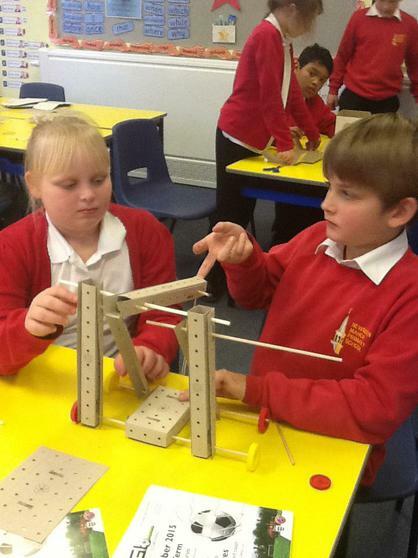 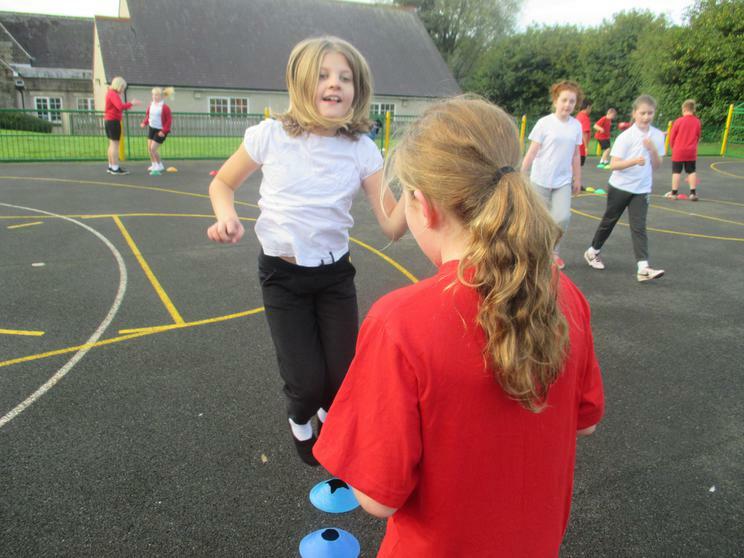 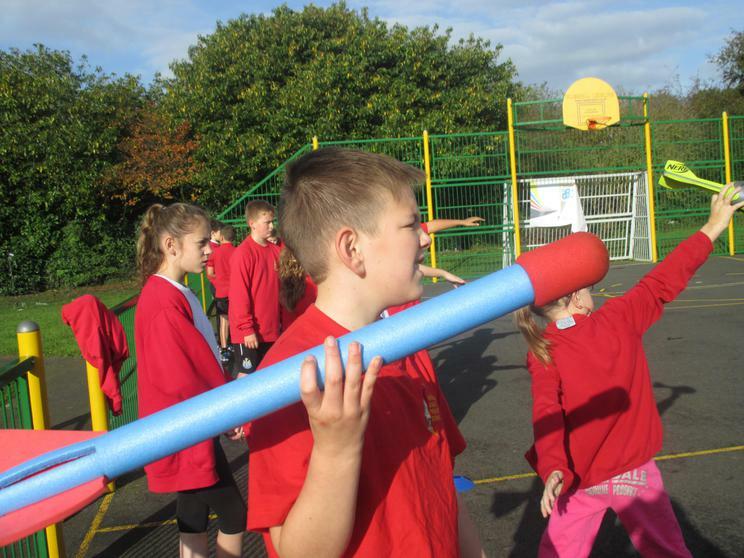 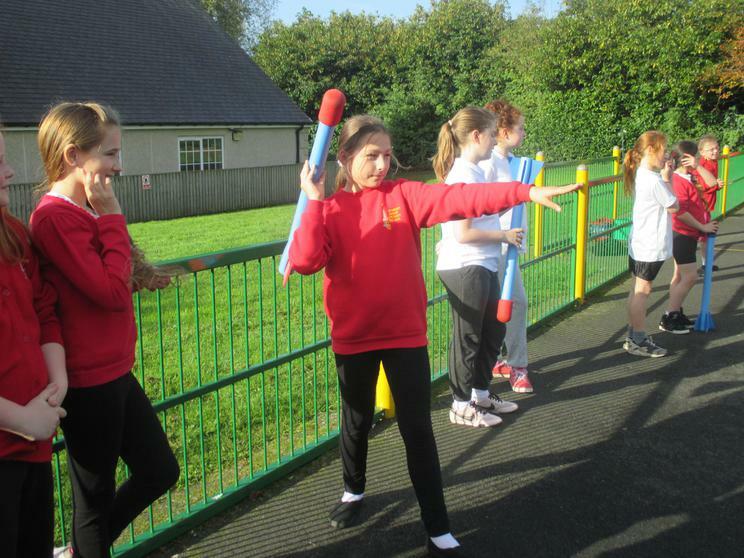 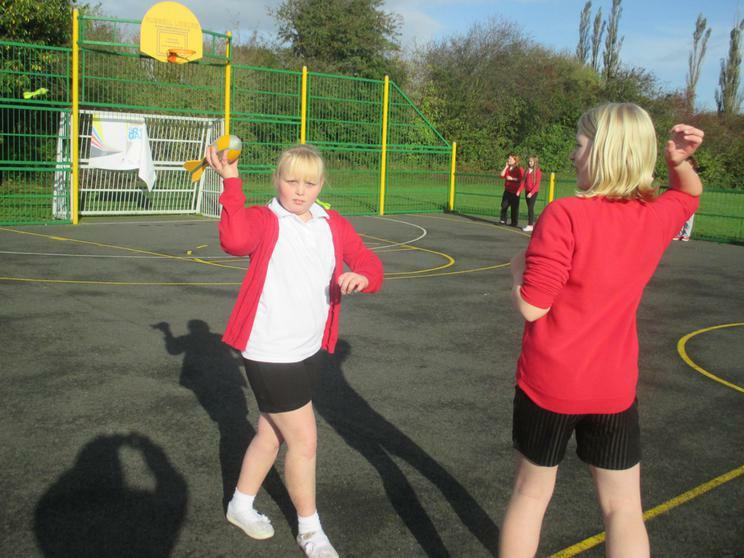 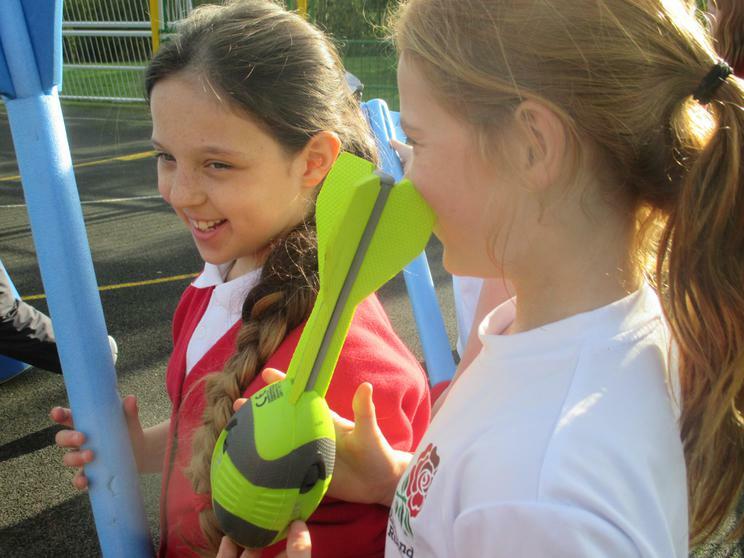 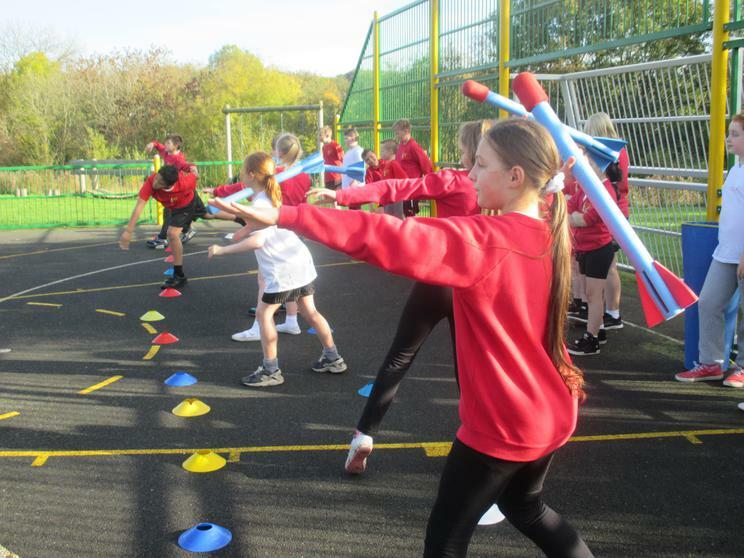 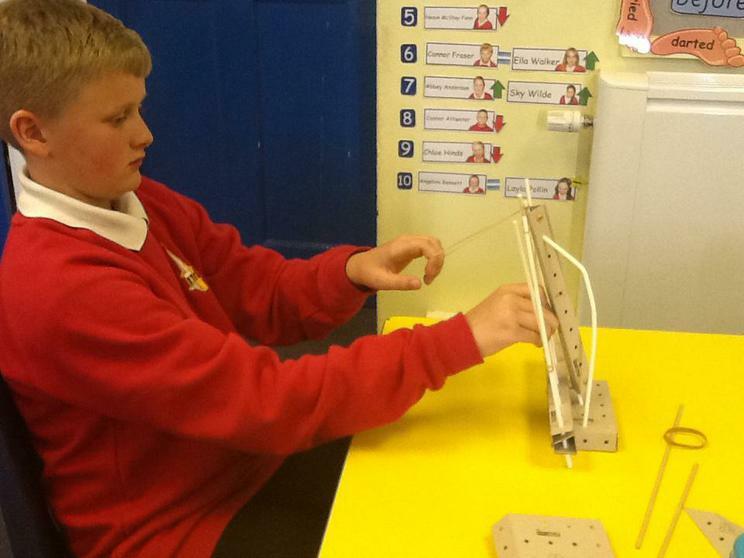 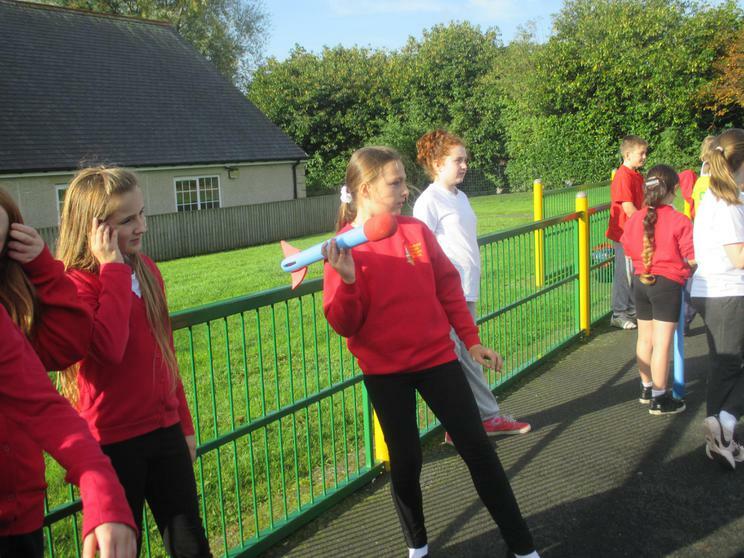 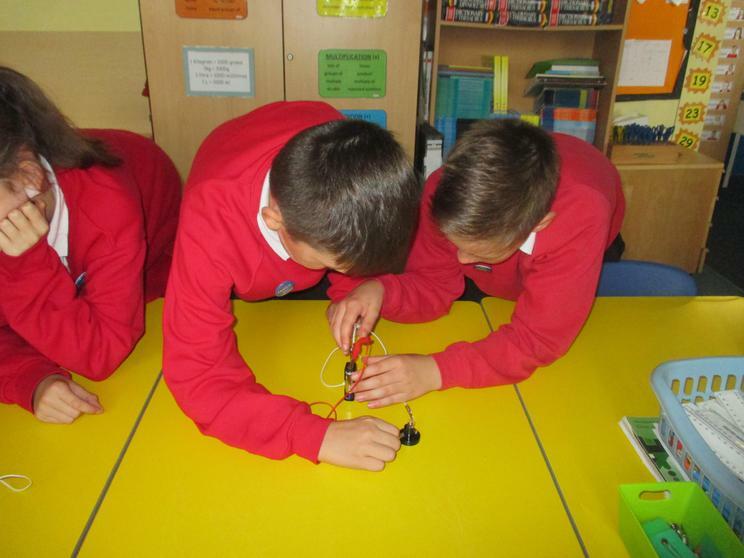 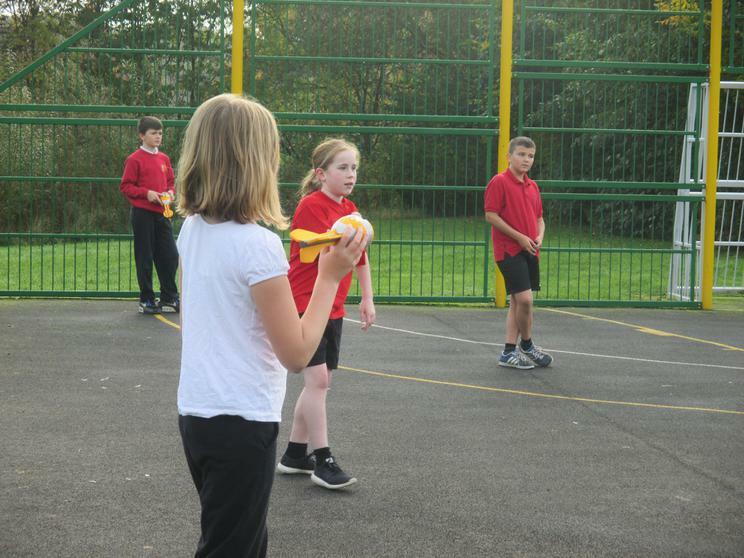 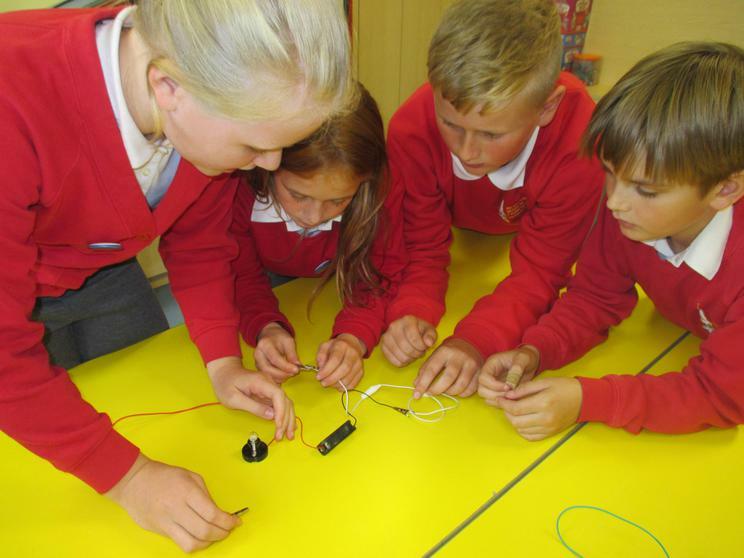 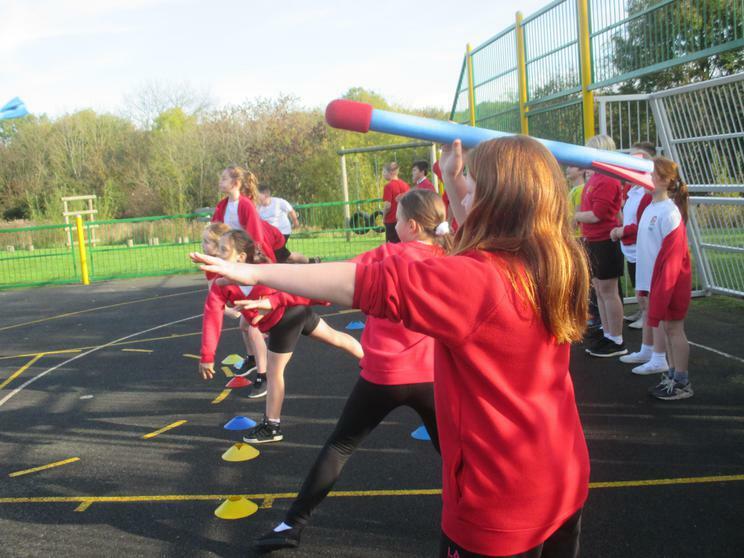 Cooperation and teamwork in our science lesson.